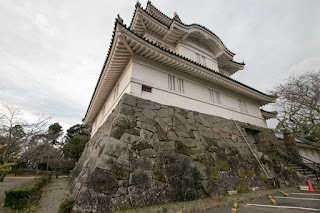 Otaki castle (大多喜城) is located on a hill of Otaki town, at the middle east part of Boso peninsula. 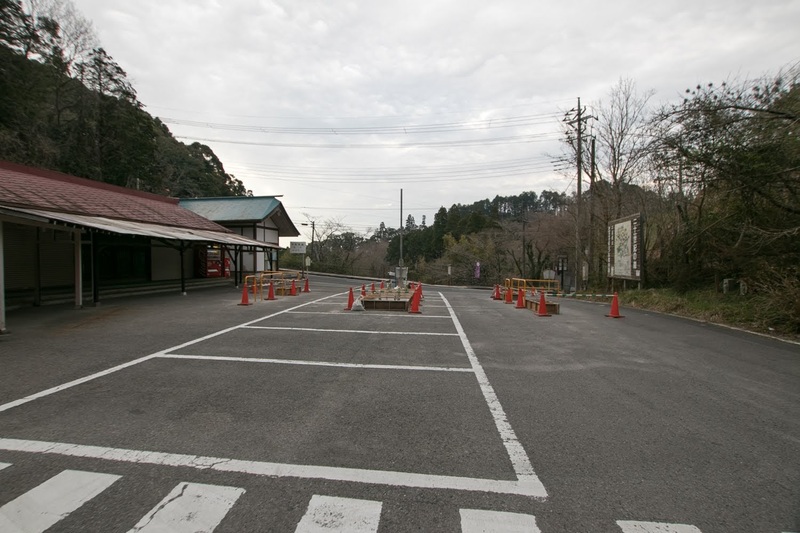 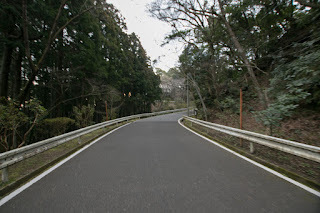 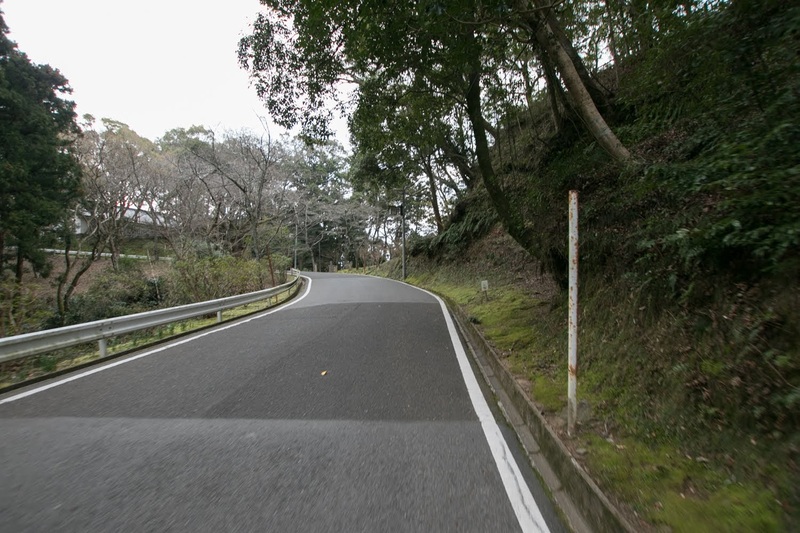 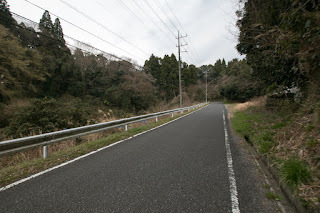 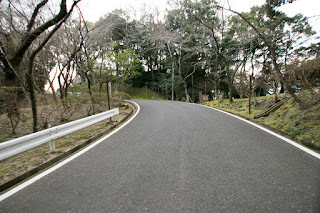 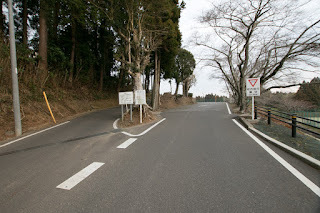 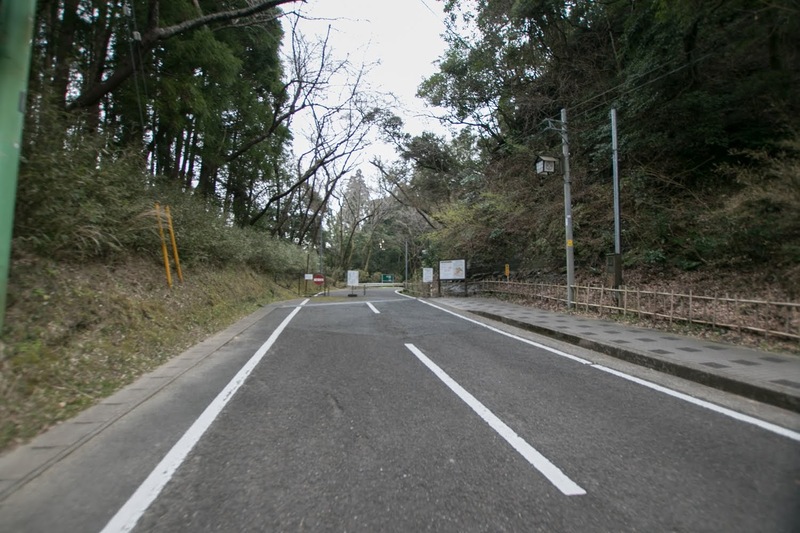 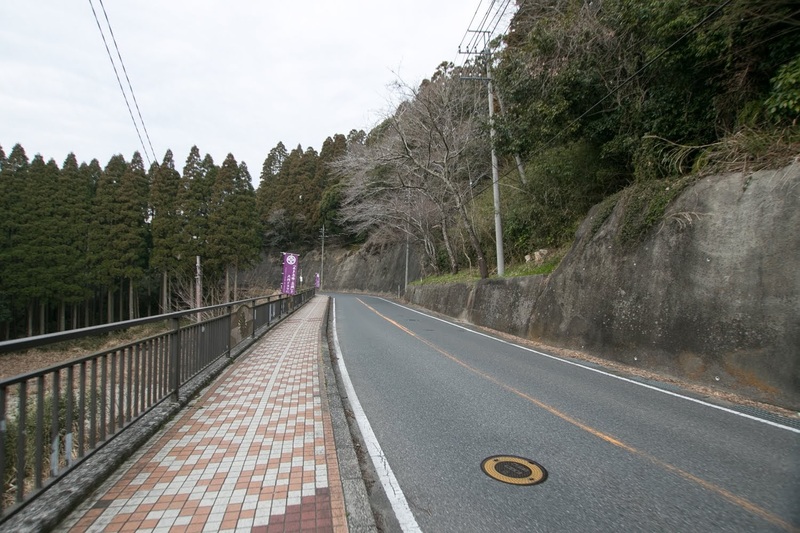 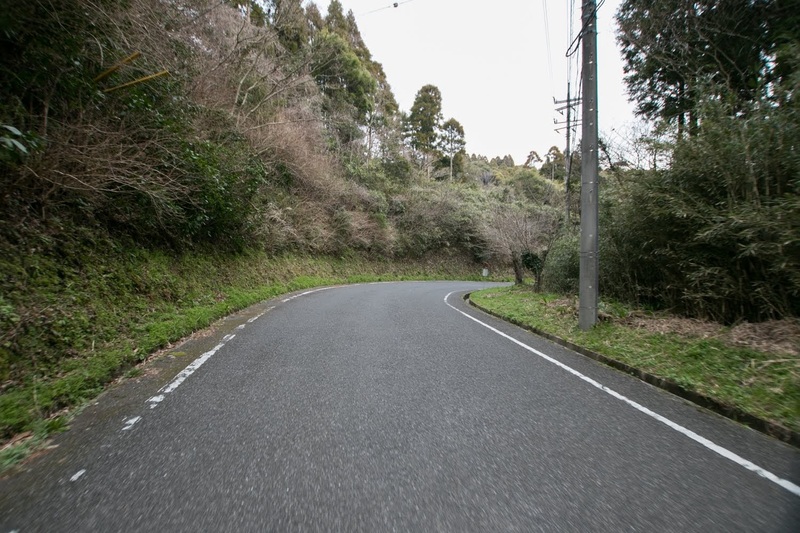 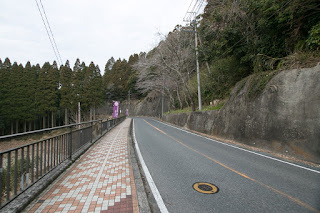 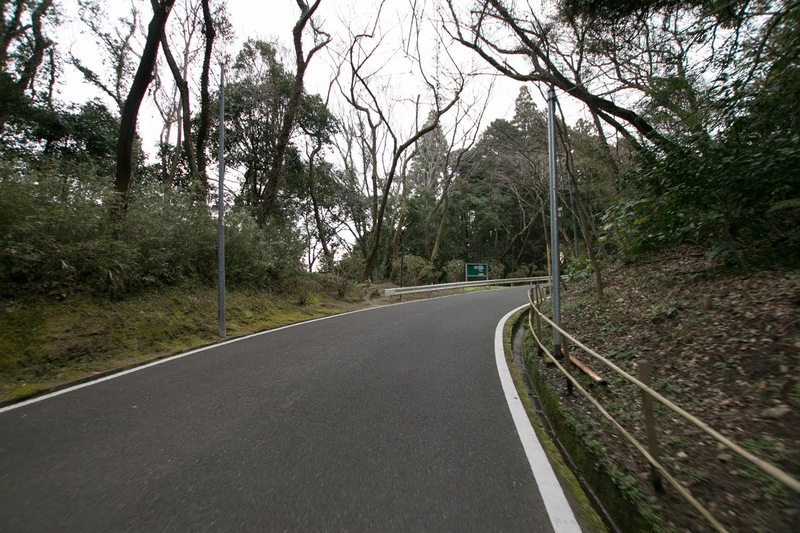 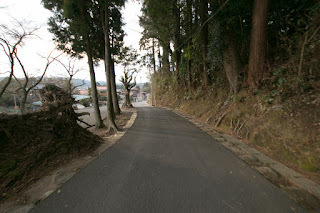 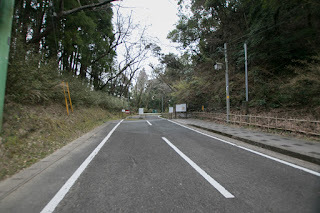 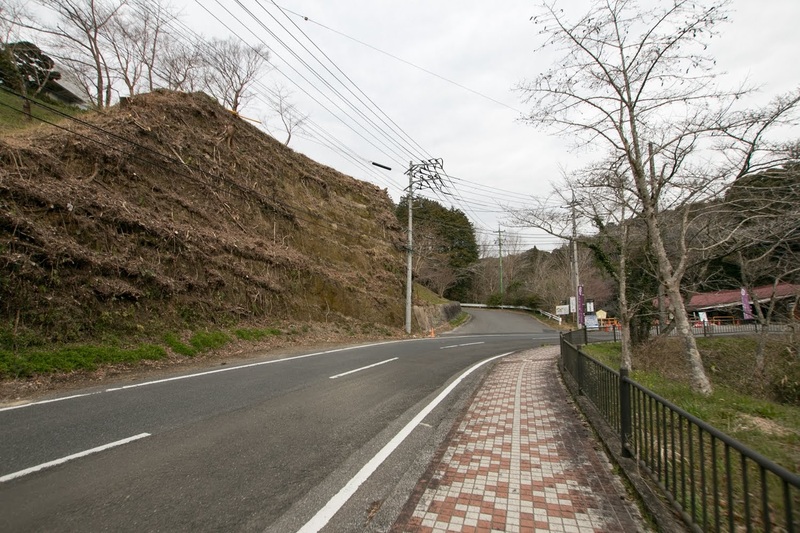 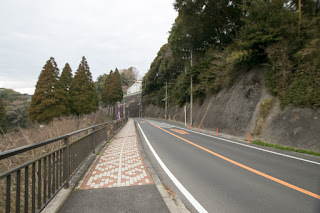 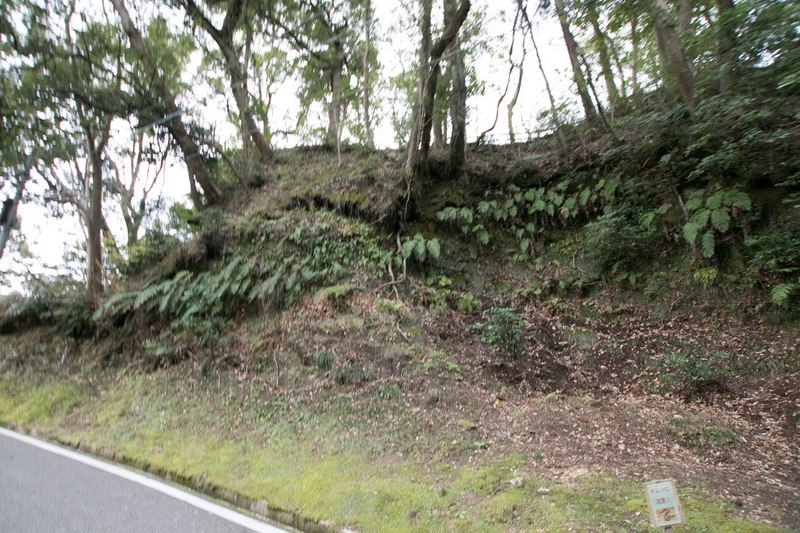 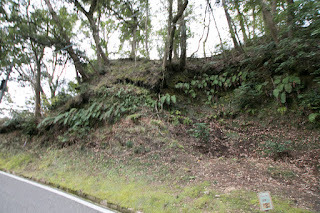 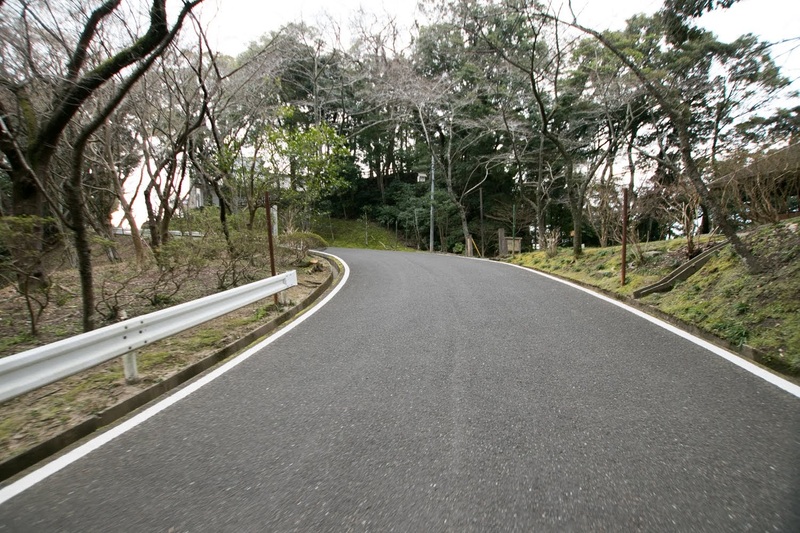 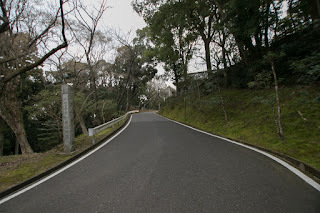 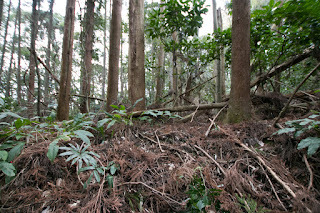 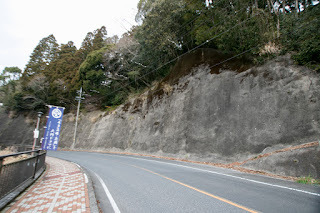 Otaki town is a place where Isumi river flow from mountainous area to plain, and also an important place of communication at the middle of road crossing Boso peninsula east and west ward. Being guarded mountains at backside and winding deep valley of Isumi river at front side, Otaki castle and castle town were a secure fortress city. 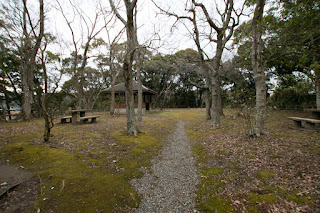 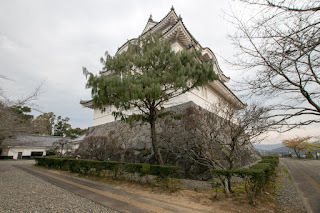 Otaki castle was originally built at the beginnng of 15th century by Mariyatsu clan, a traditional local lord resided at Mariyatsu castle at 20km northwest of this castle. 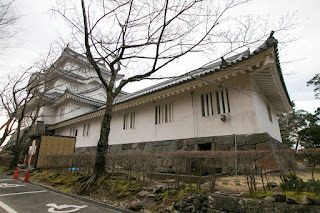 But in 1544, this castle was captured by Tokishiga Masaki (1513-1561), a vassal of Satomi clan at Awa province (South edge of Boso peninsula) and was used as his residence. Tokishige was a brave general good at spear and had the title of Daizennosuke, thus he was famous as Yari Daizen (Speer Daizen). Even though a retainer of Satomi clan, Tokishige was somehow nominated as an excellent warlord along with Shigen Takeda (1521-1573), Kenshin Uesugi (1530-1578) or Motonari Mouri (1497-1571), at the record of Norikage Asakura (1477-1555) who was a veteran excellent general of Asakura clan at Echizen province (Fukui prefecture). 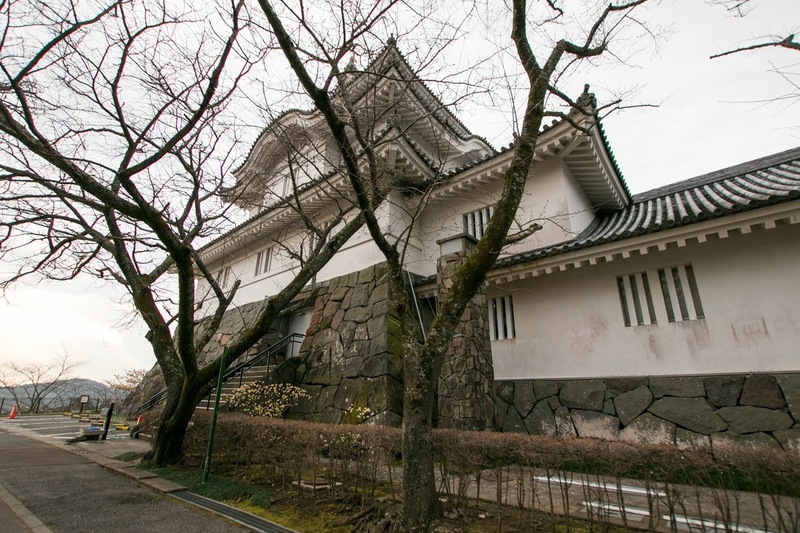 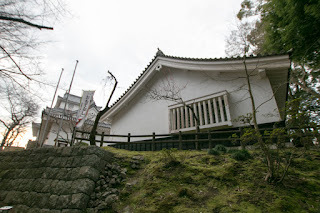 After Tokishige, four generations of Masaki clan had held this castle, and this castle had been an important place to cope with Hojo clan, a warlord of Sagami province (Kanagawa prefecture) and gradually intruded into Boso peninsula from northward. 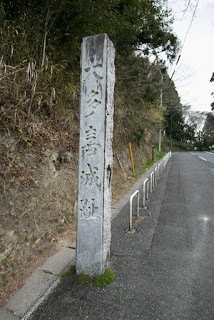 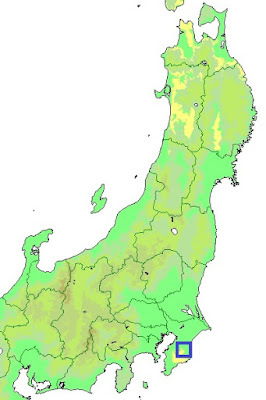 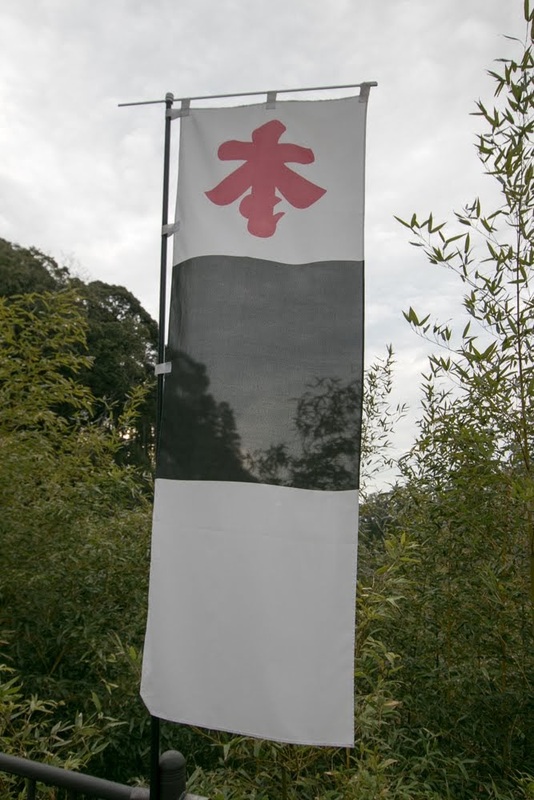 In 1590, at the time of Odawara campaign by central ruler Hideyoshi Toyotomi (1537-1598) against Hojo clan, Satomi clan was confiscated territory at Kazusa province (upper half of Boso peninsula) including Otaki castle, and retreated to Awa province (south edge of Boso peninsula). Ieyasu Tokugawa (1543-1616) was appointed as the lord of most part of Kanto region including this area, and Ieyasu placed his general Tadakatsu Honda (1548-1610), the bravest general of Tokugawa clan and regarded as one of big four of Tokugawa army preparing for Satomi clan. 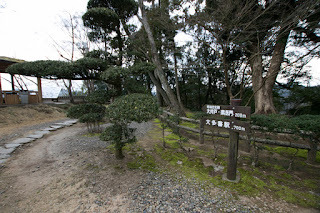 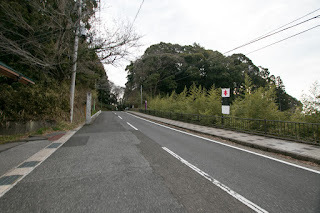 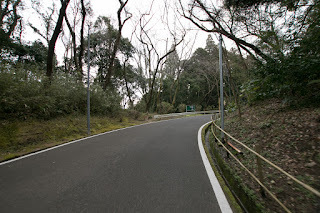 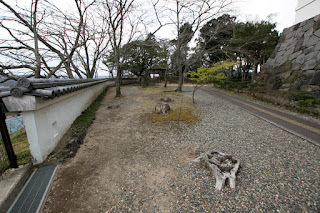 It is not clear why Ieyasu placed his bravest general at such distant peninsula, but it might be not to irritate surrounding major lords such as Satake clan or Uesugi clan placing Tadakatsu at these front. 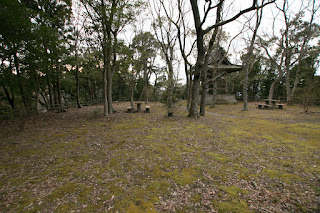 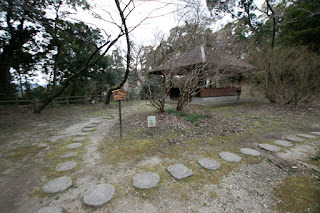 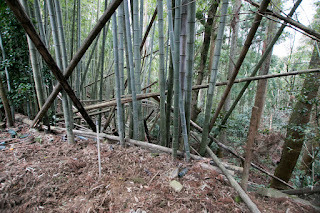 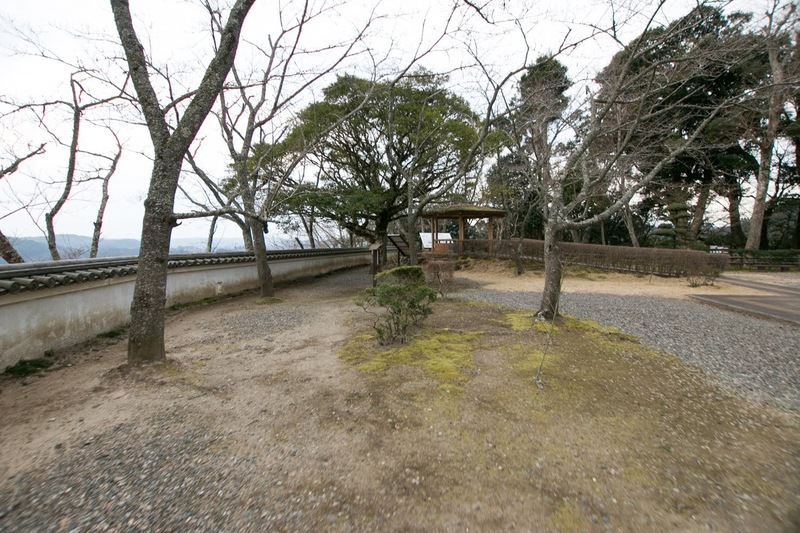 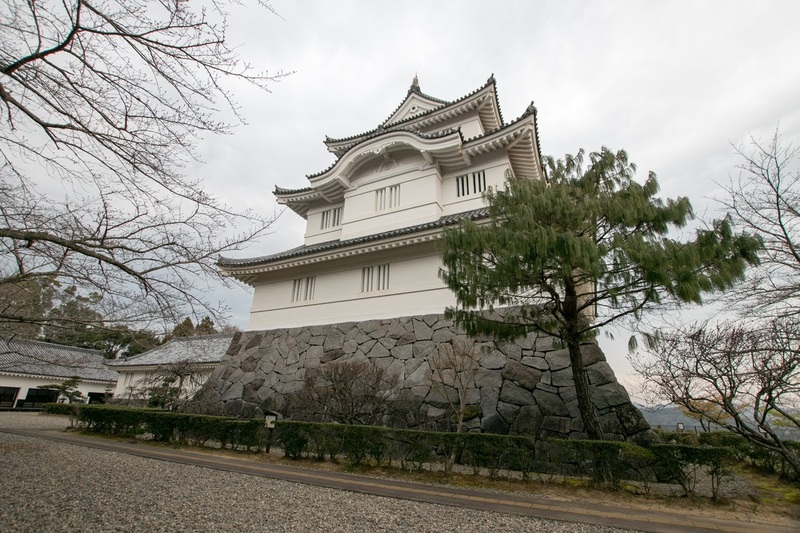 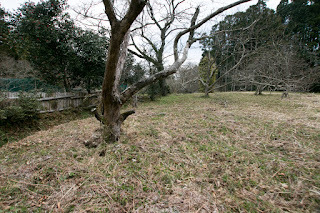 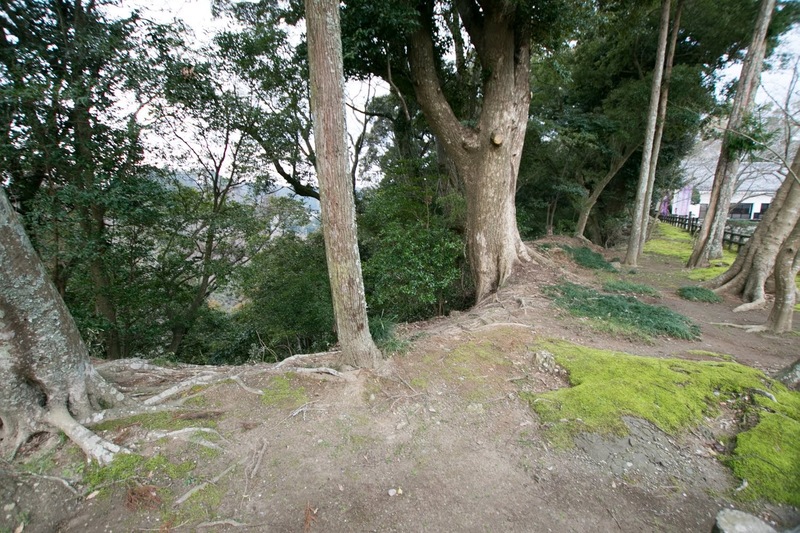 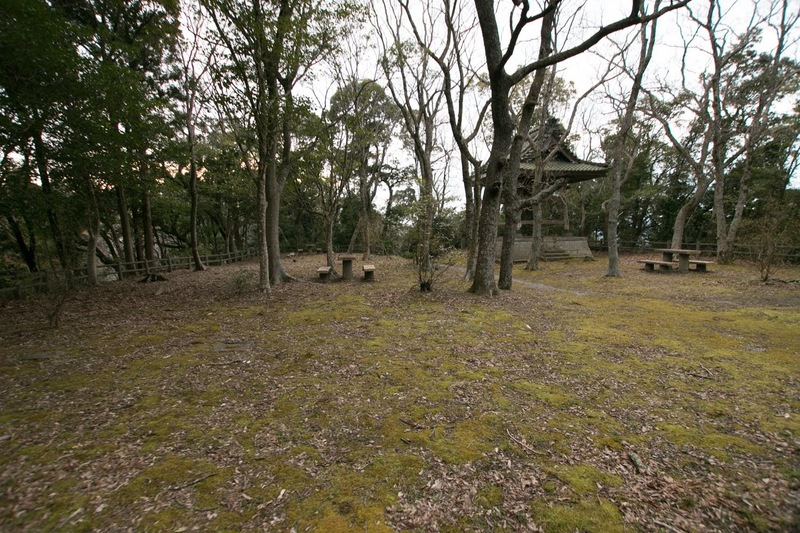 As a commander of castle, Tadakatsu significantly reformed this castle into a modern one as defence point of this area. 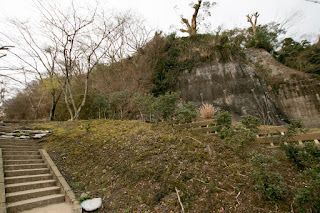 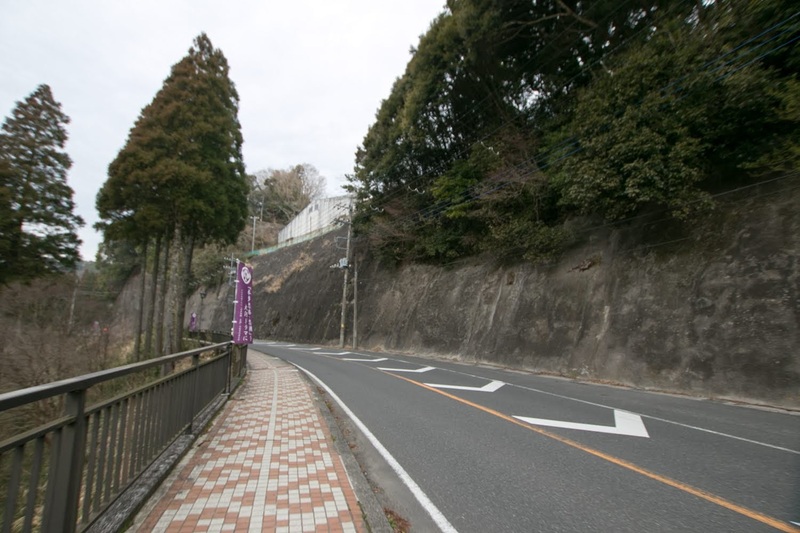 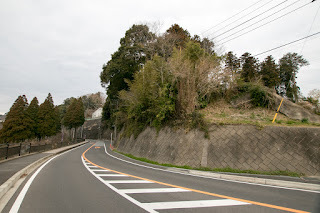 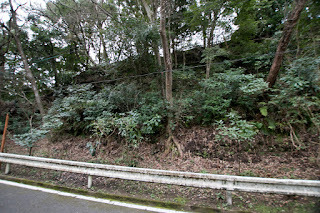 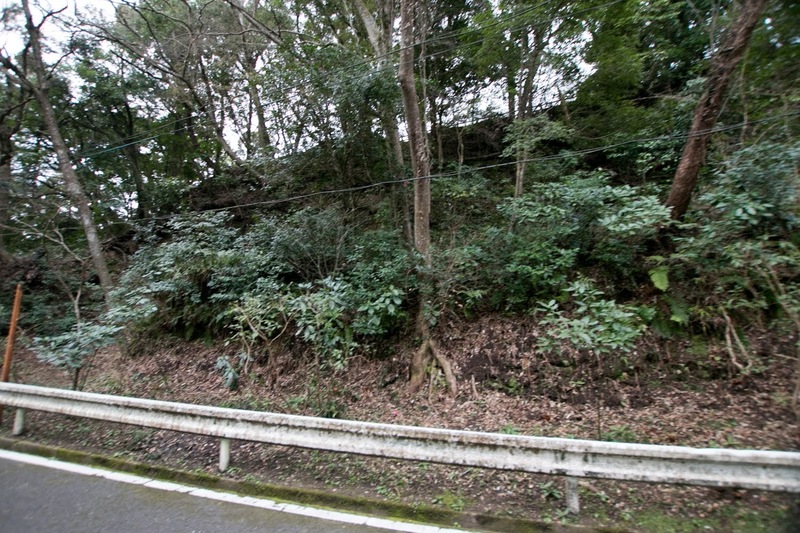 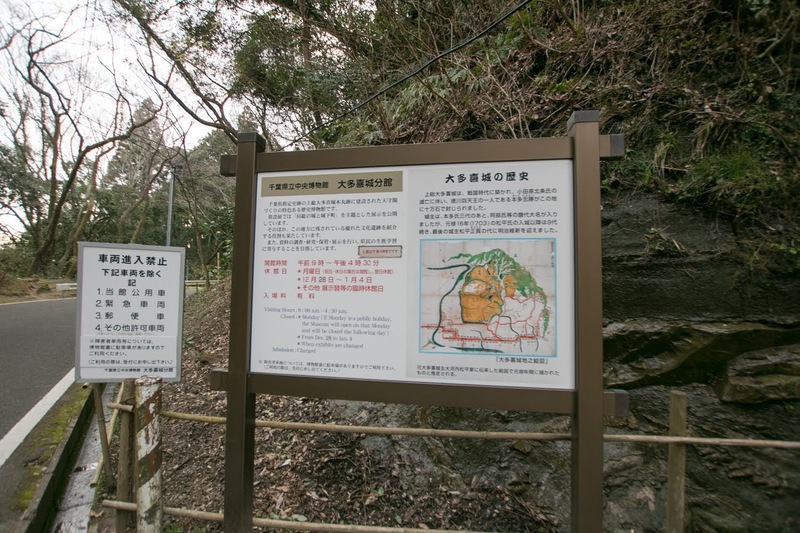 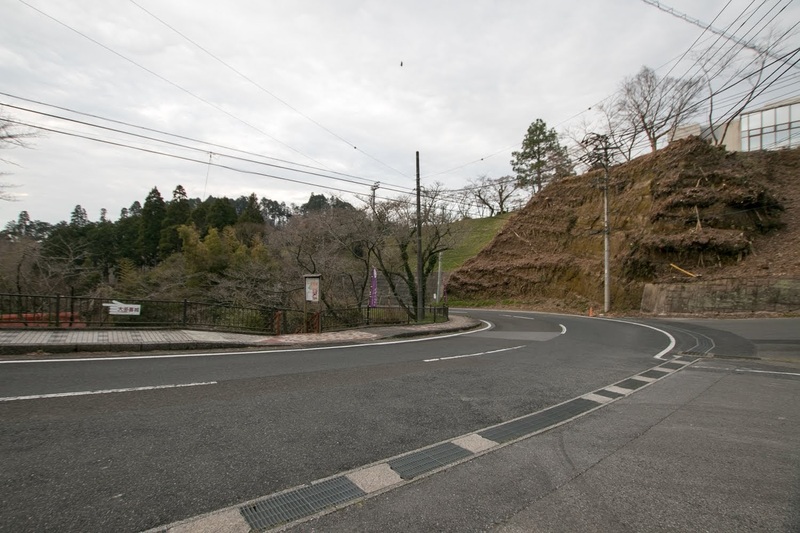 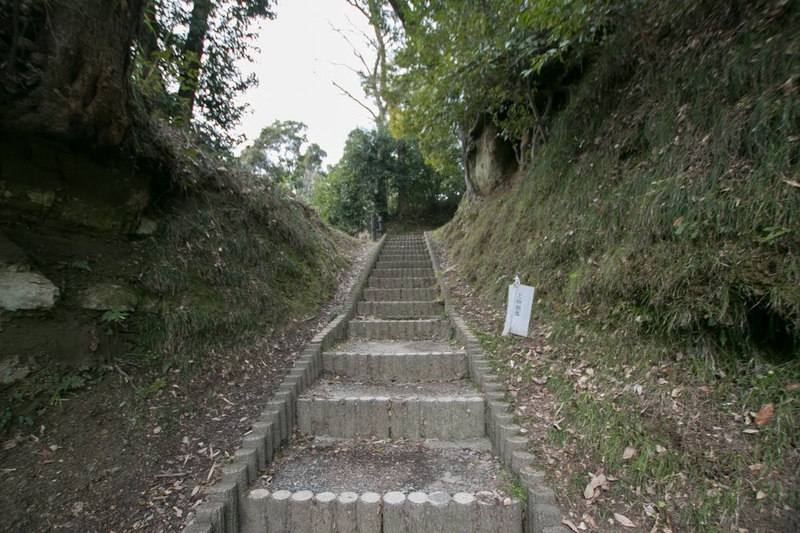 Formerly Osaki castle consists of two triangle shaped hill, one is current castle hill and next is Kuriyama hill at north. 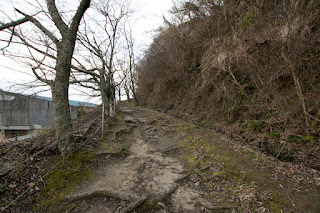 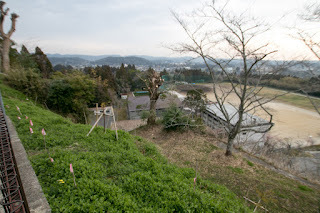 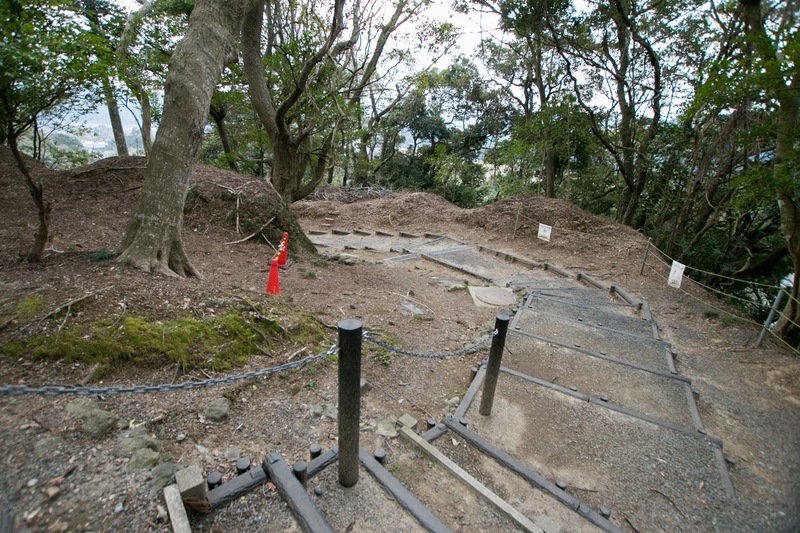 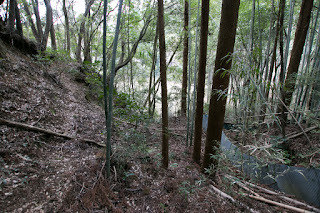 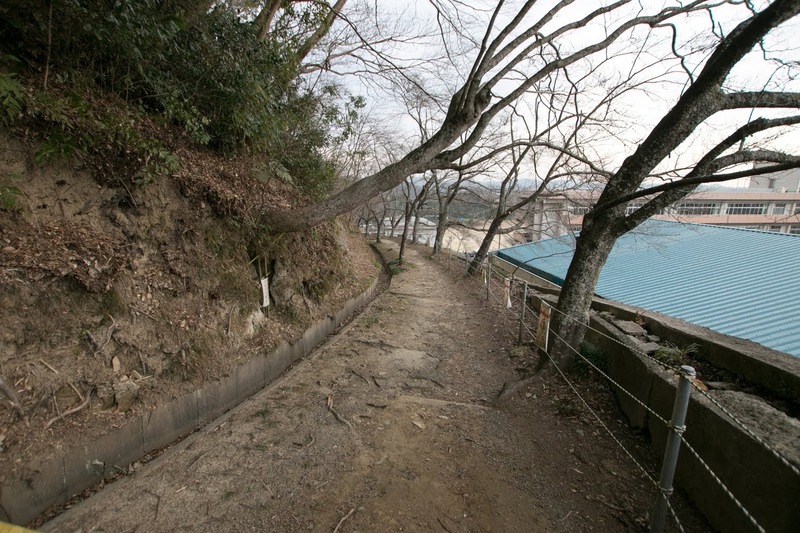 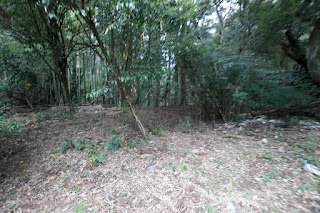 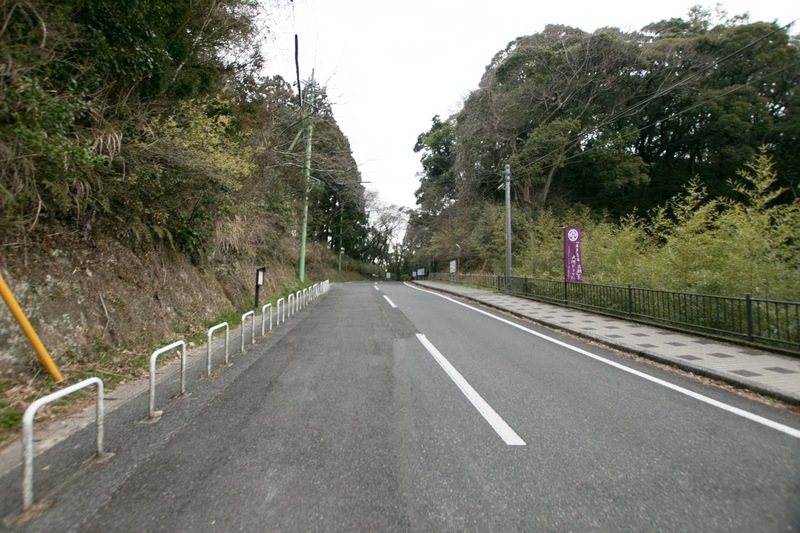 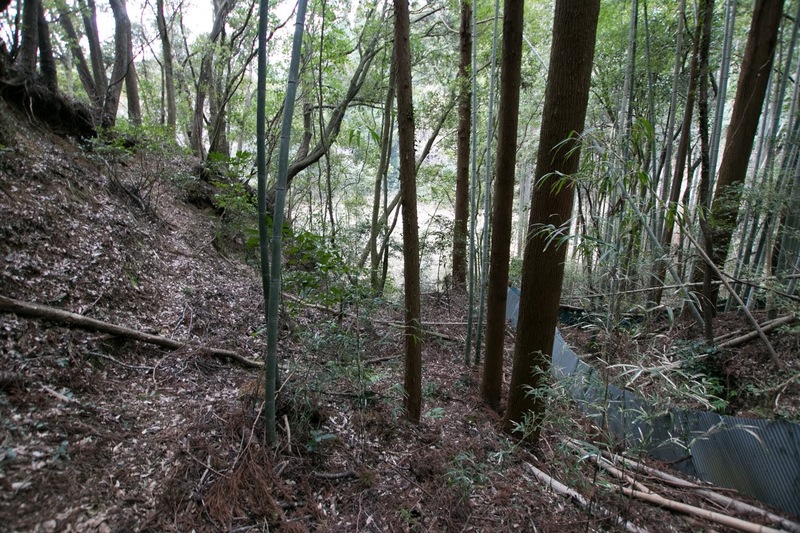 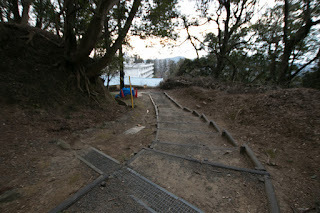 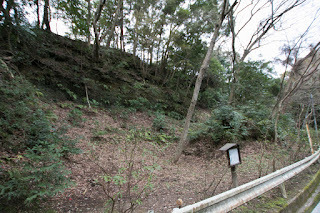 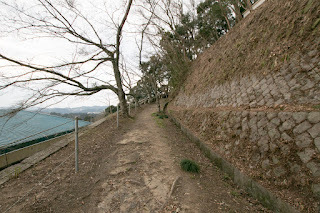 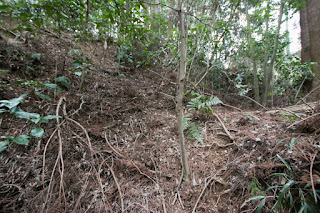 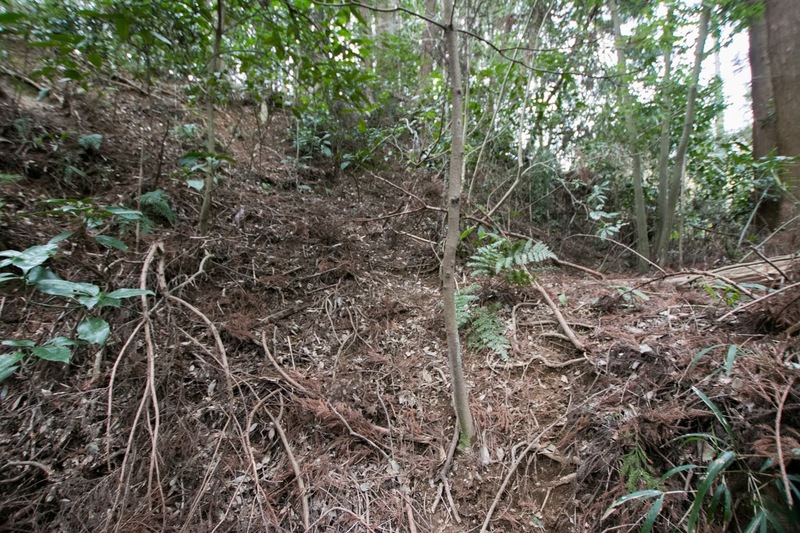 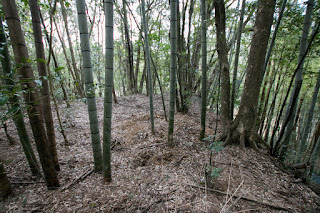 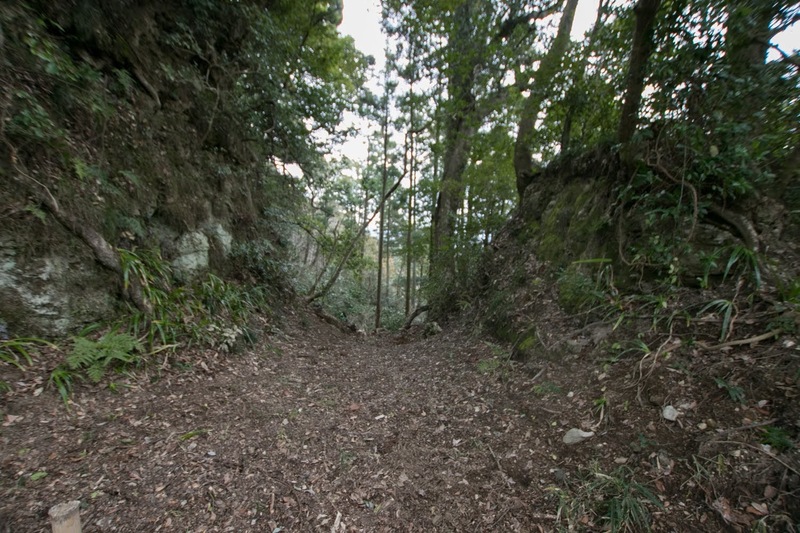 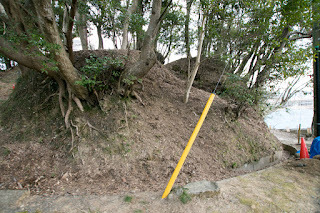 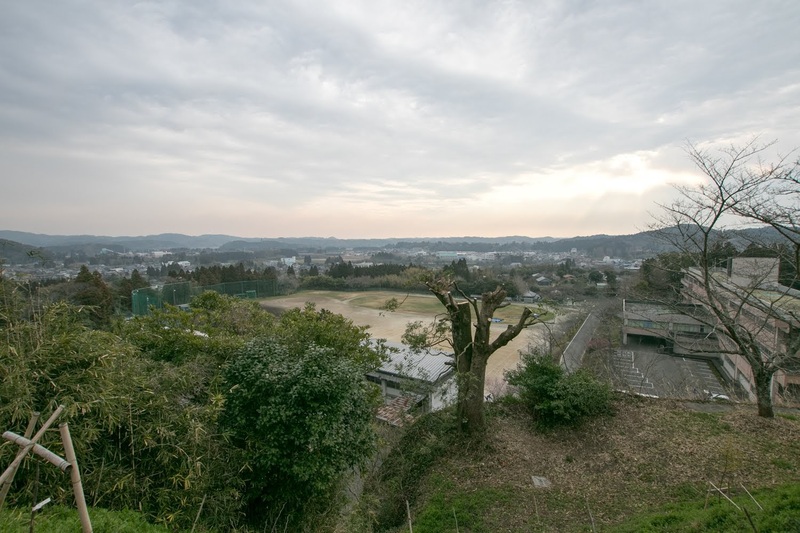 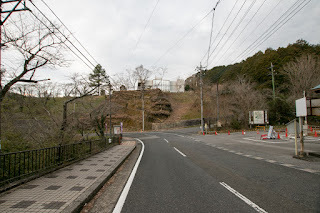 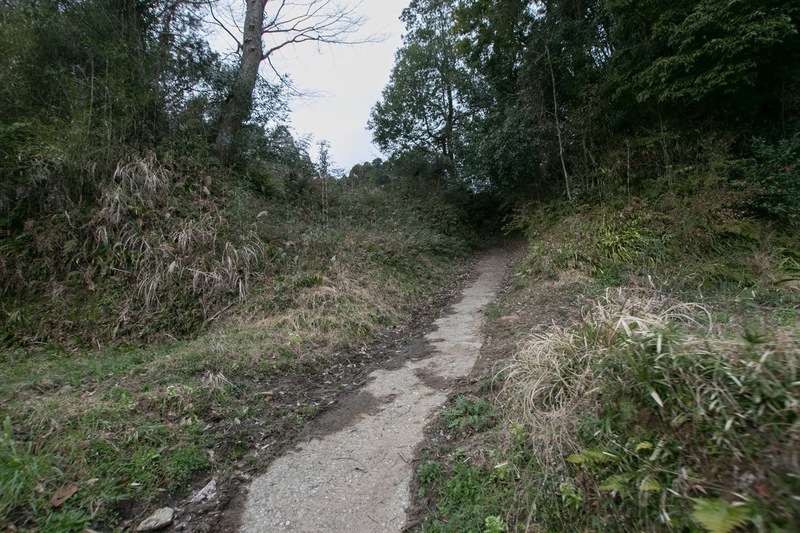 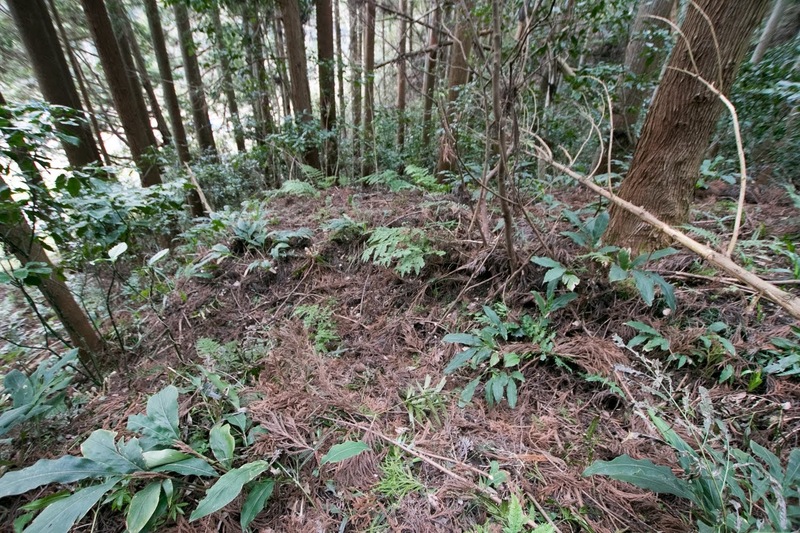 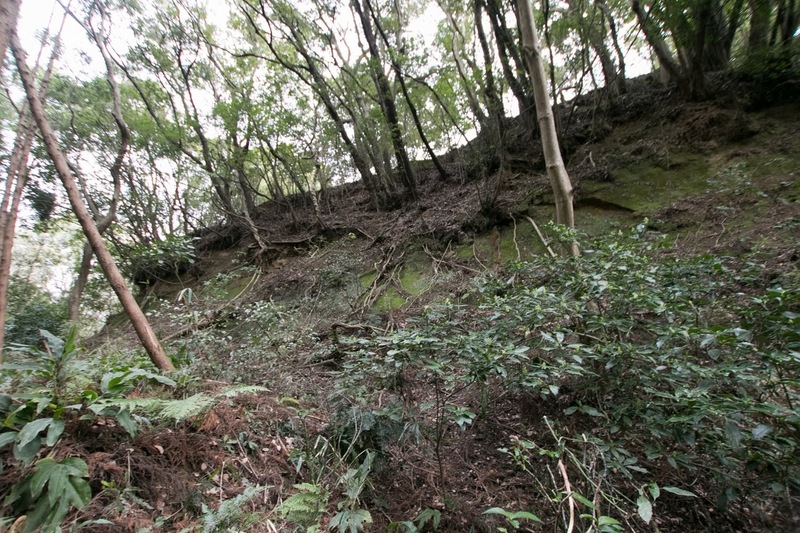 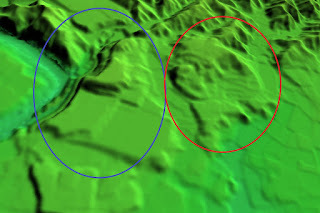 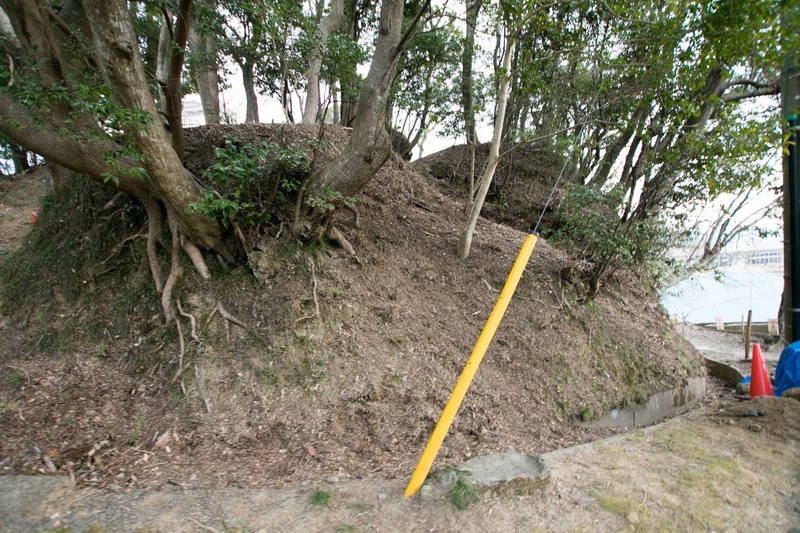 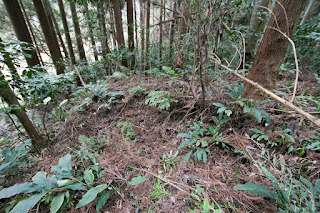 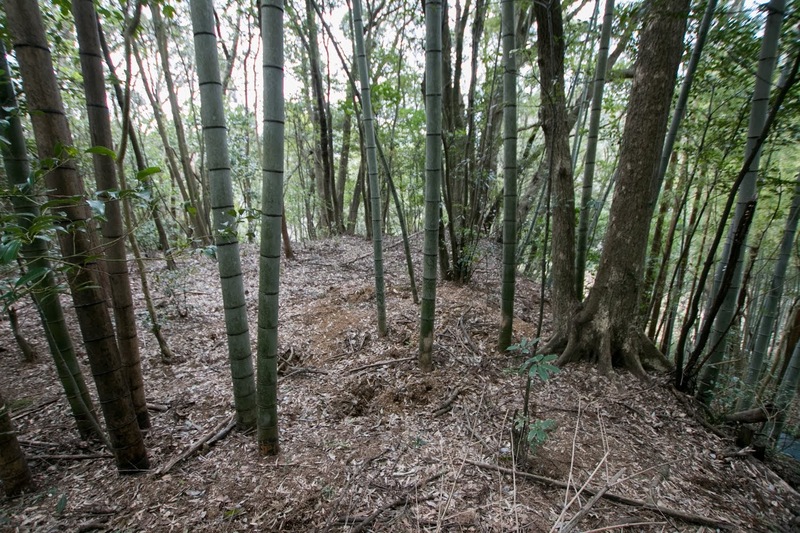 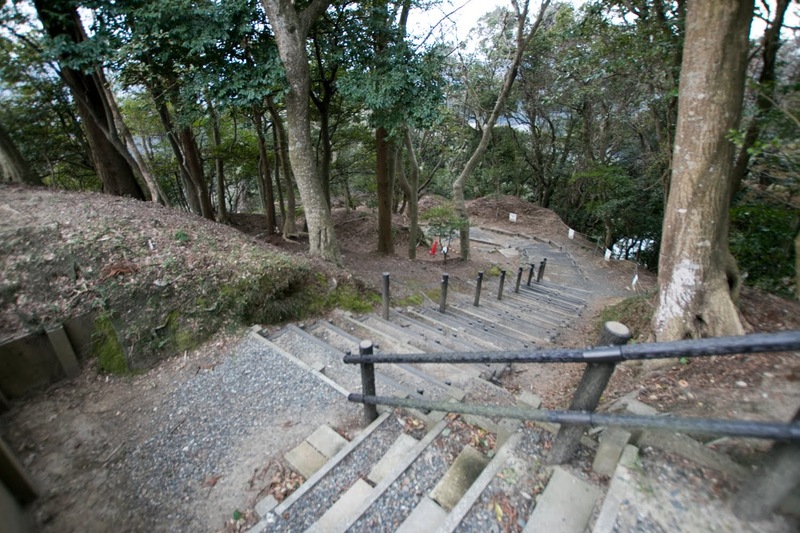 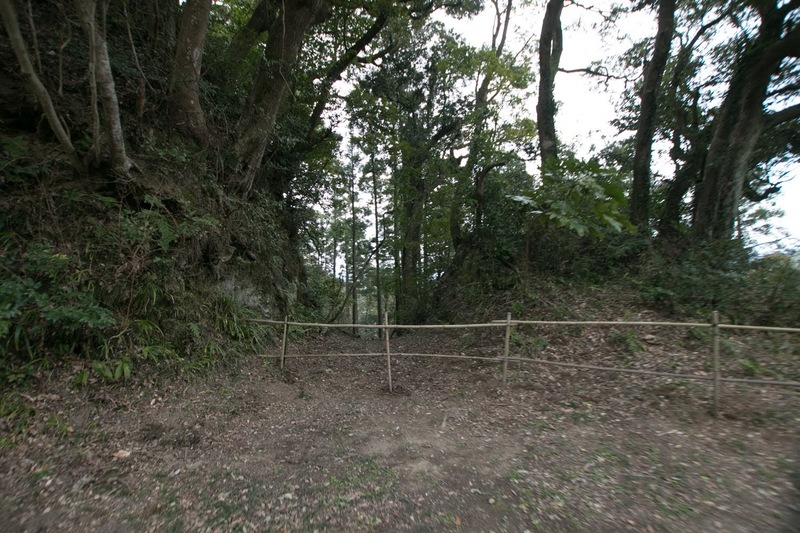 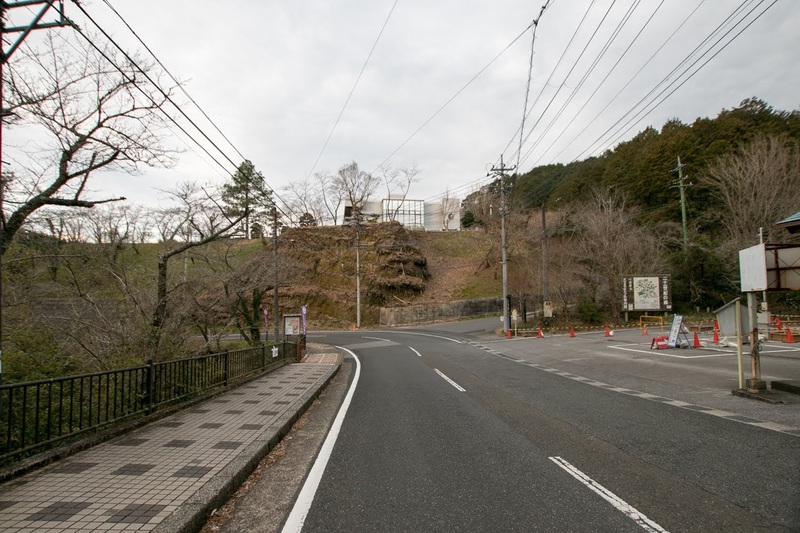 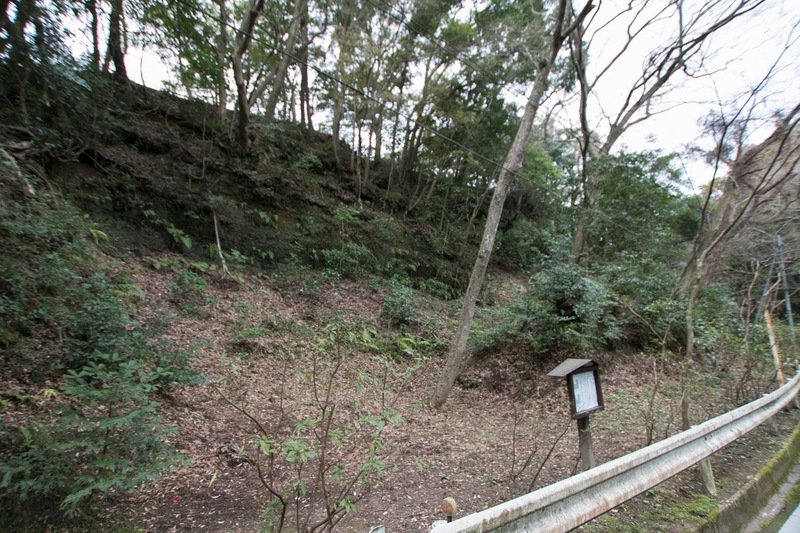 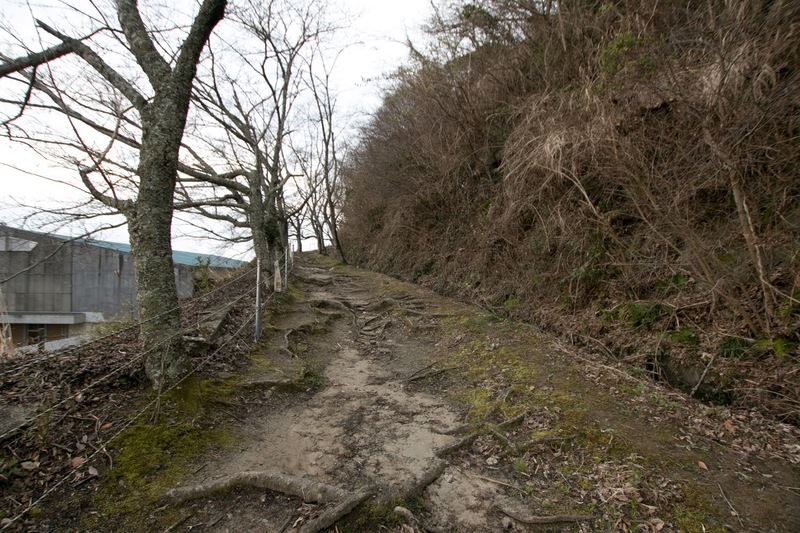 But Tadakatsu disposed Kuriyama hill, and newly built large outer area at the side of castle hill to make clearer defense line. On the top of the hill, a three story and four floor main tower was newly built, and there also existed several turrets and gates in the castle. 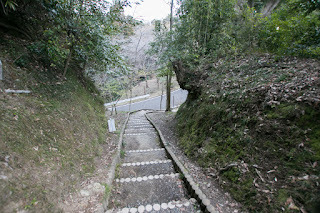 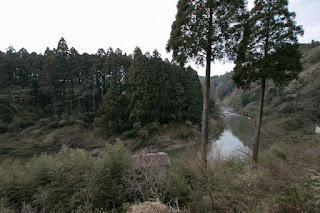 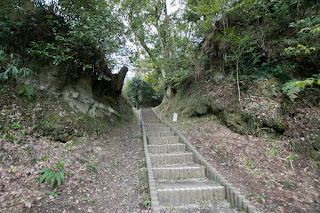 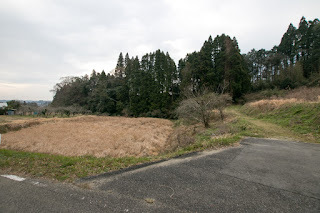 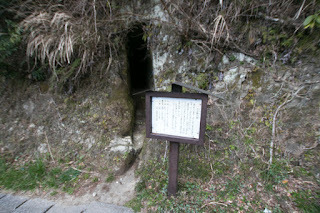 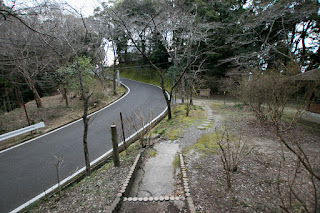 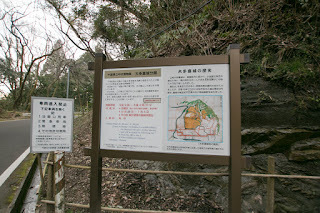 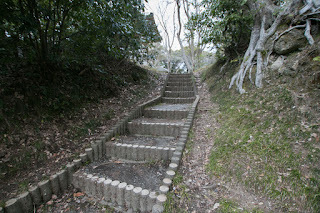 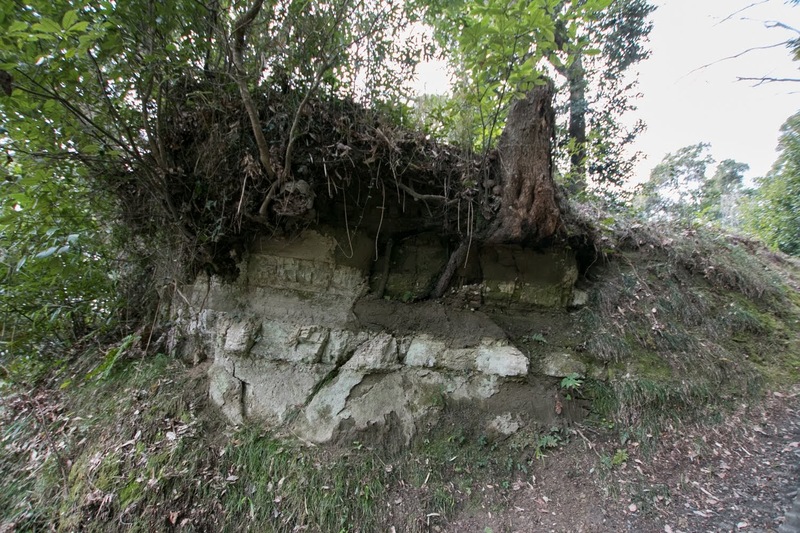 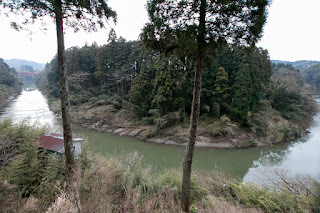 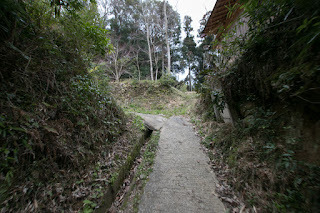 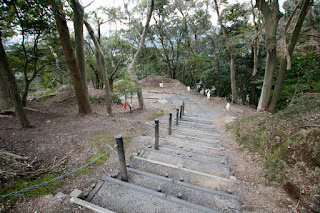 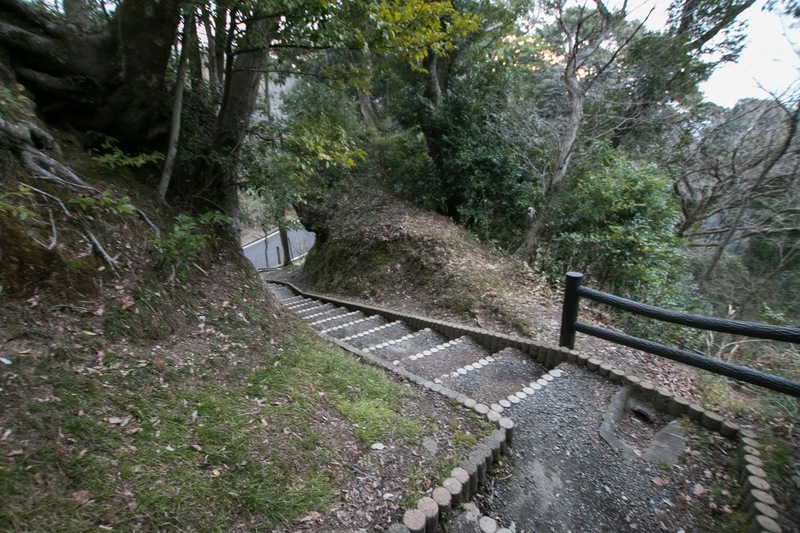 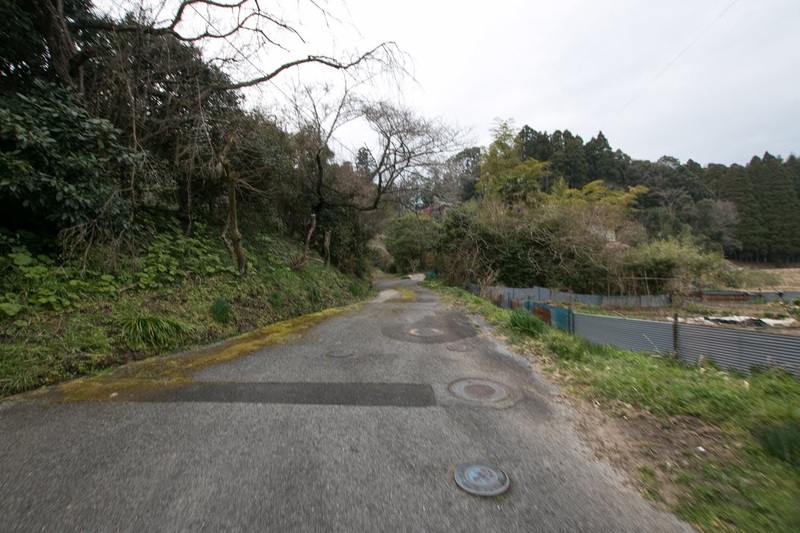 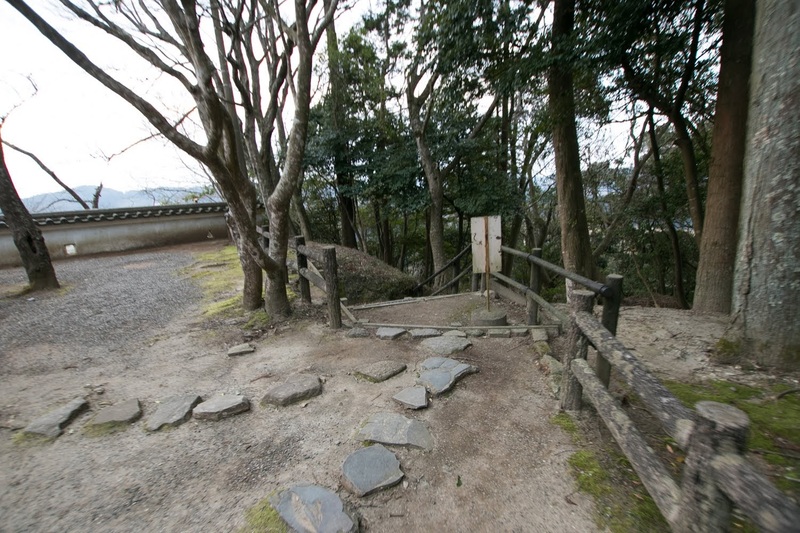 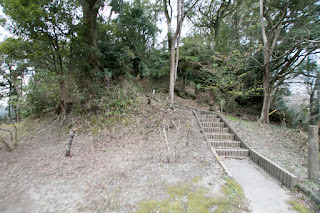 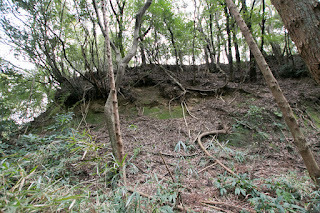 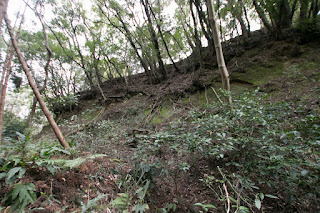 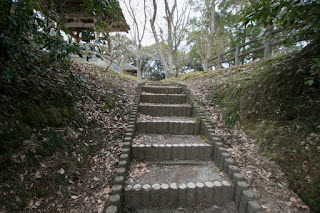 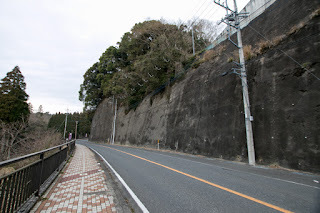 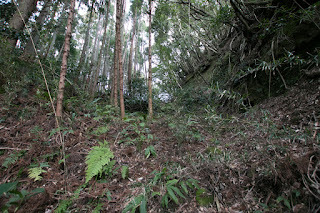 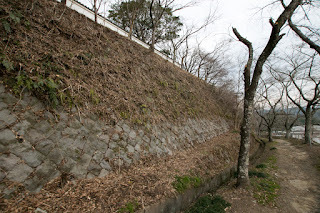 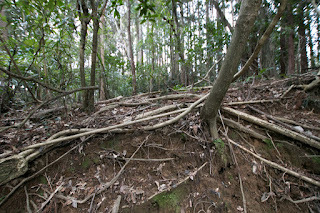 Castle town was also built between the outer area of the castle guarded by winding Isumi river. According to the record of Don Rodrigo (1564-1636), a Spanish admiral who draft ashore to Otaki area by shipwreck and visited this castle, the castle located on a hill and there was a deep moat surrounded outer area, A drawbridge was used to cross the moat, and inside the iron covered gate there was a palace of lord, decorated by gold and silver. After the battle of Sekigahara in 1600, Tadakatsu was transferred to Kuwana castle (Mie prefecture) and his second son Tadatomo Honda (1582-1615) succeeded the castle. 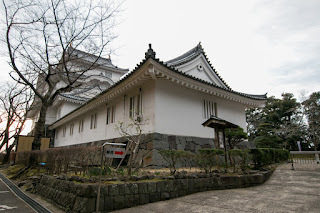 But Tadatomo died at the battle of Osaka castle in 1615, and next leader Masatomo Honda (1599-1638) finally left this castle and moved to Tatsuno castle (Hyogo prefecture) in 1617. 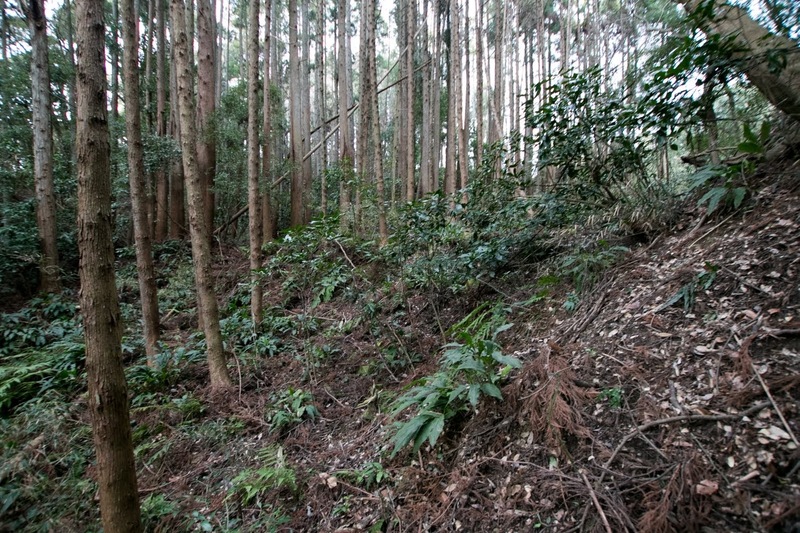 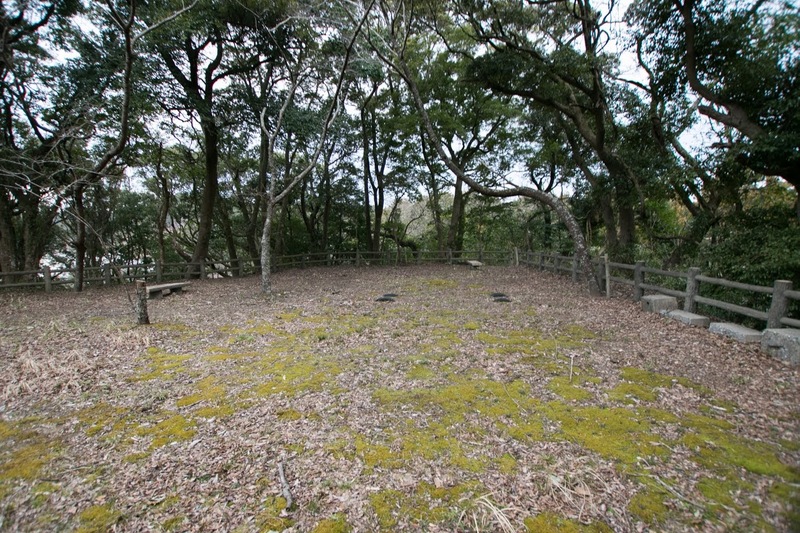 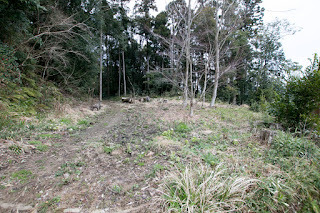 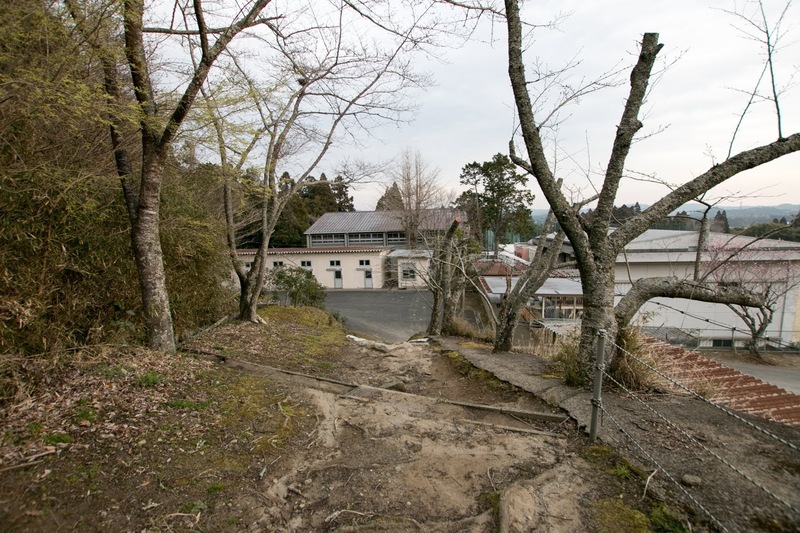 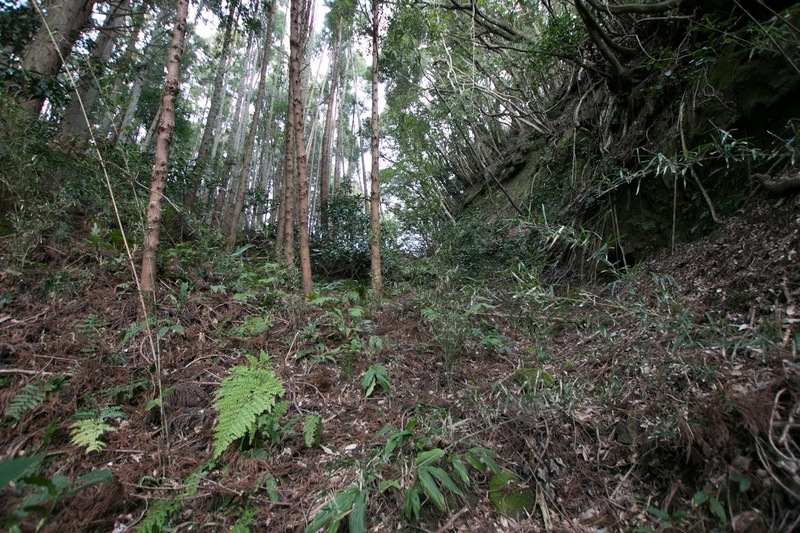 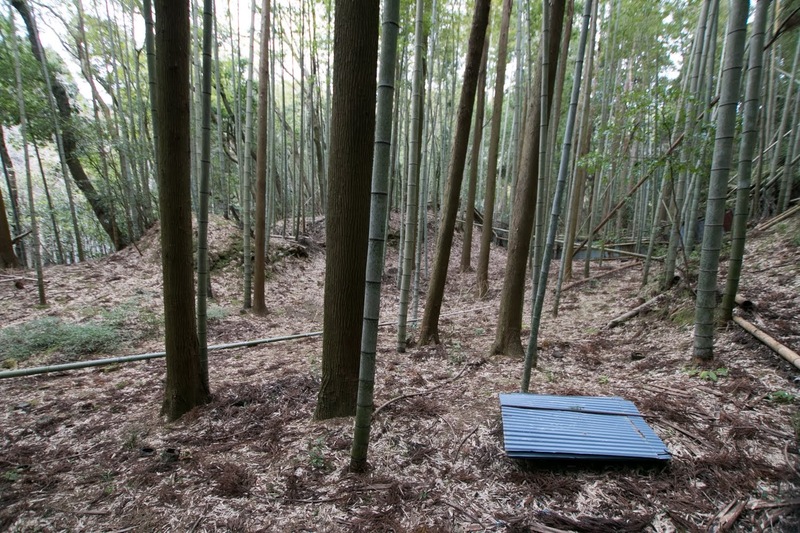 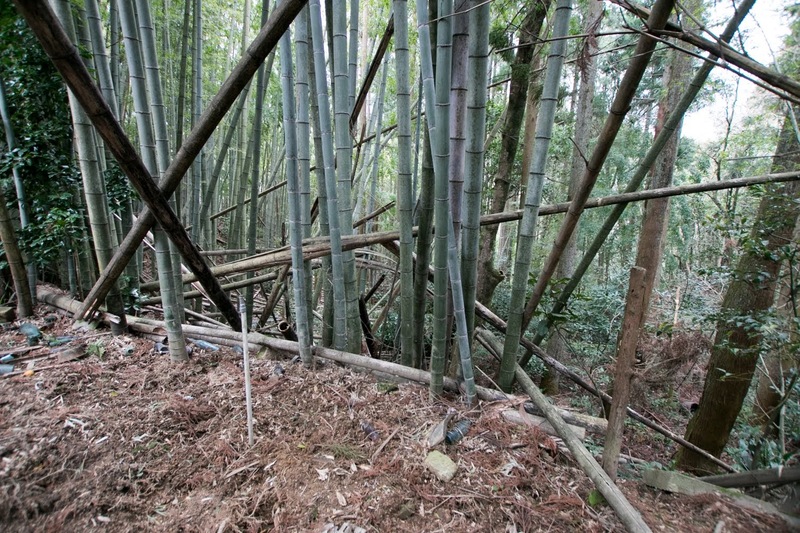 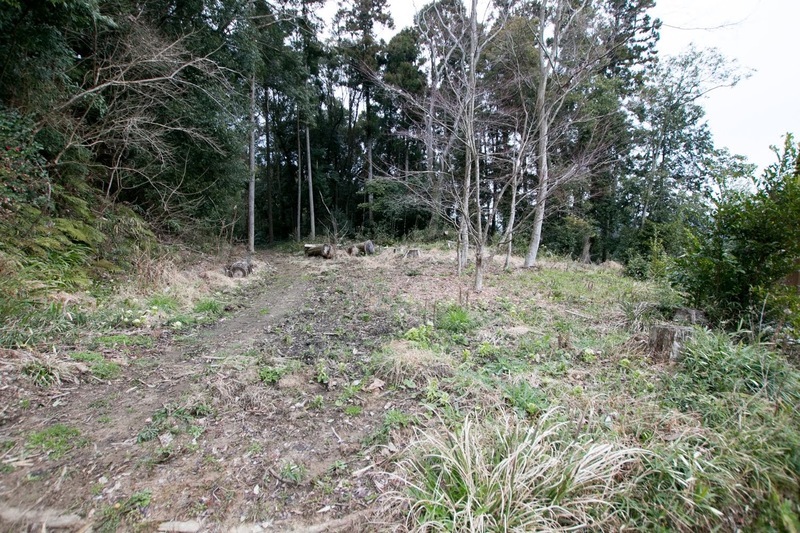 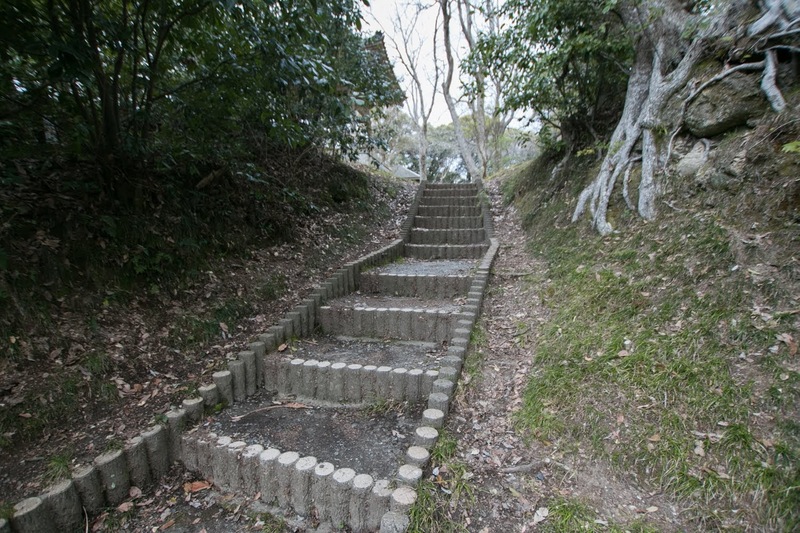 As Satomi clan was already expelled in 1614, the necessity of Otaki castle has decreased and once abolished at 1623. Later castle itself was restored, but being held by only small retainers they could not maintain a large castle. 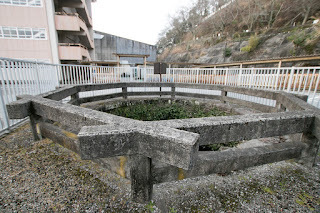 Otaki castle became devastated throughout Edo era, and main tower lost by fire in 1842 was never built again. 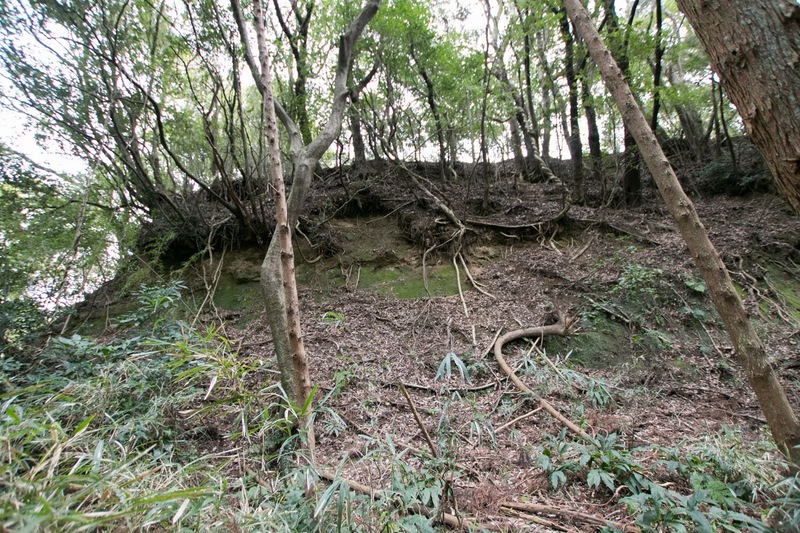 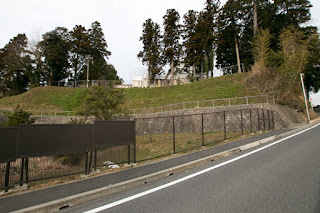 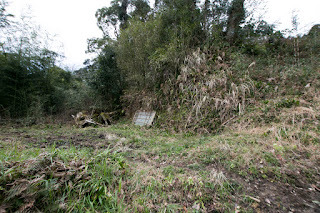 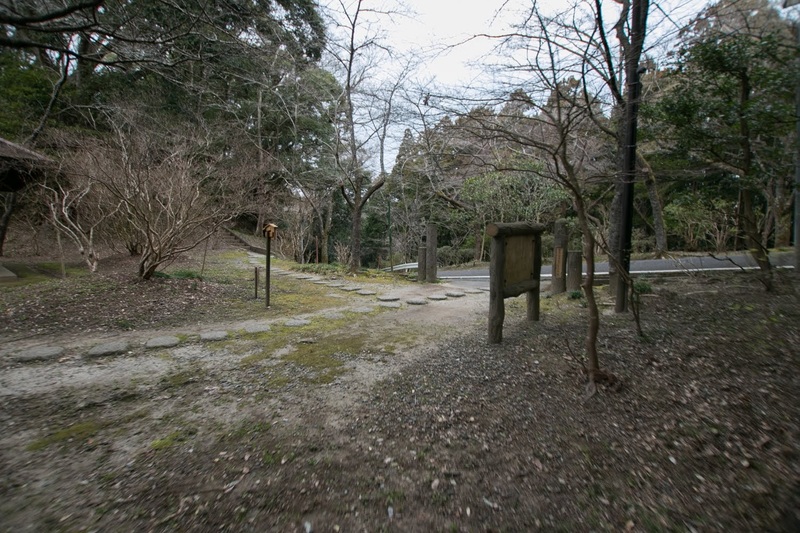 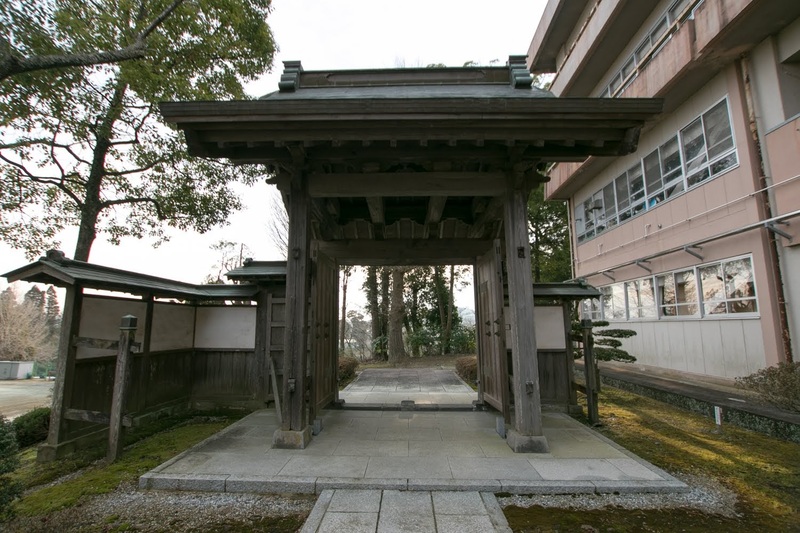 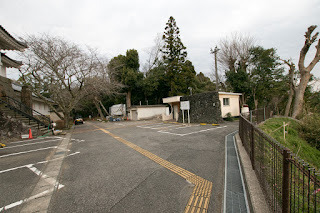 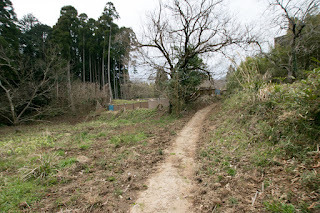 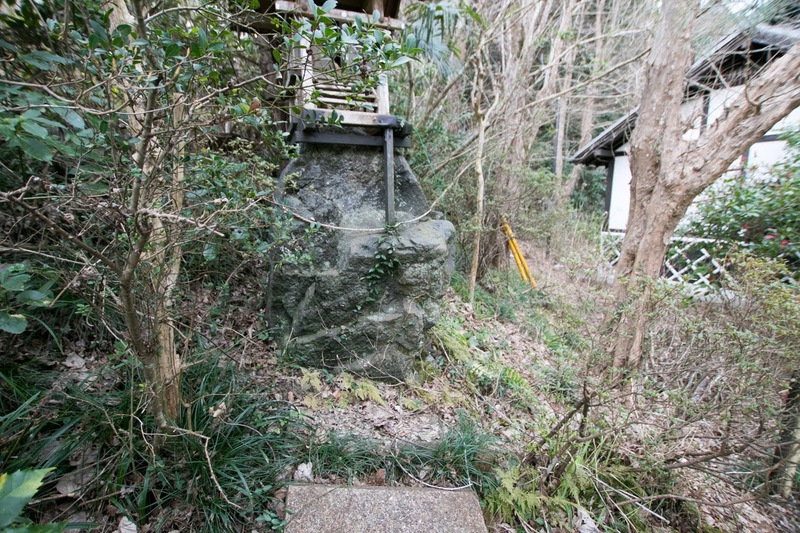 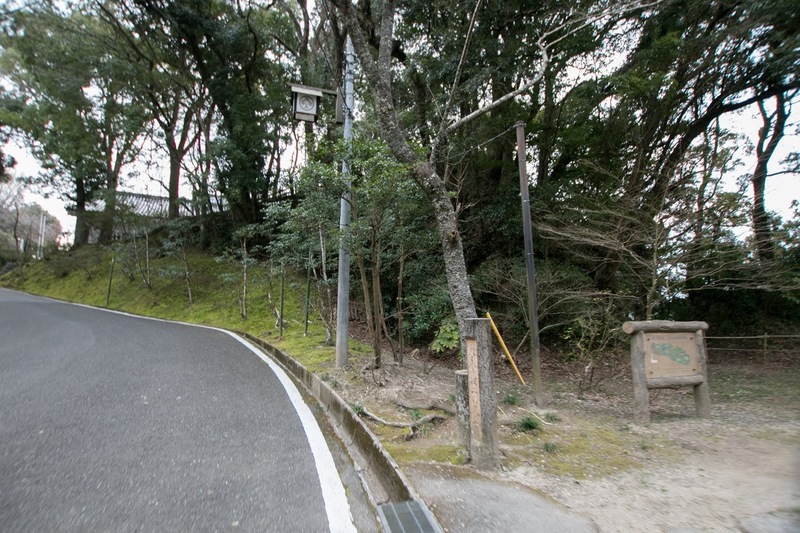 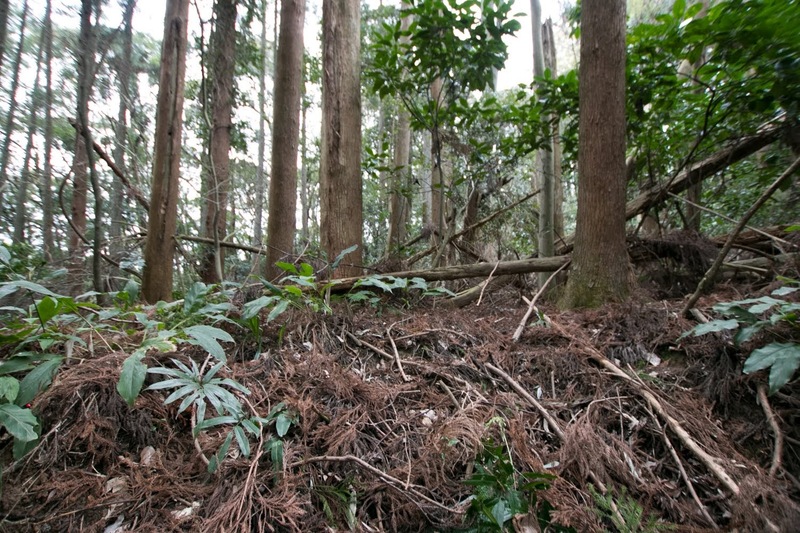 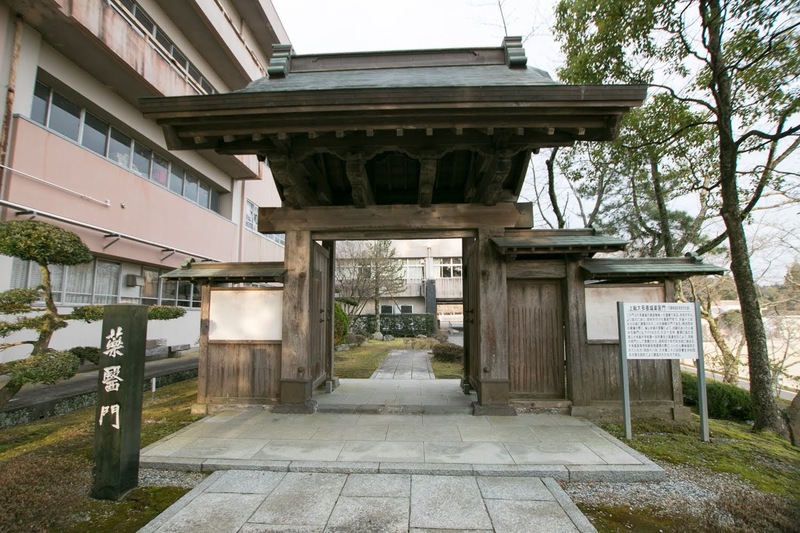 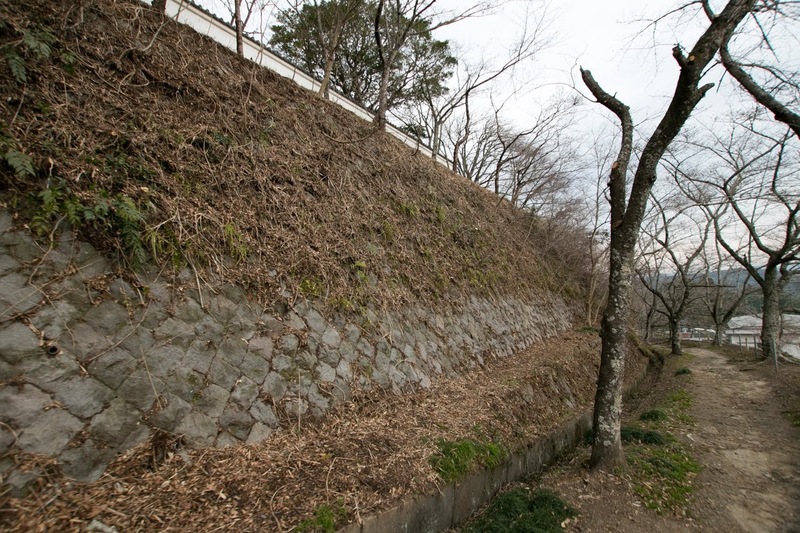 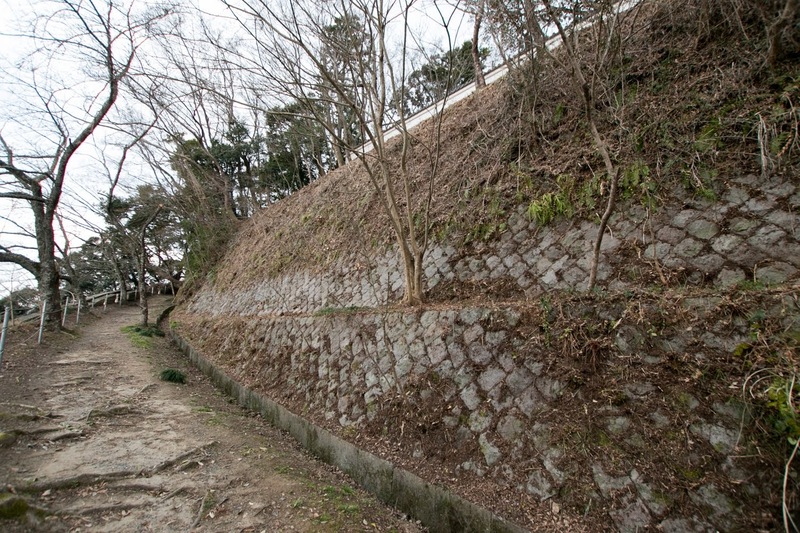 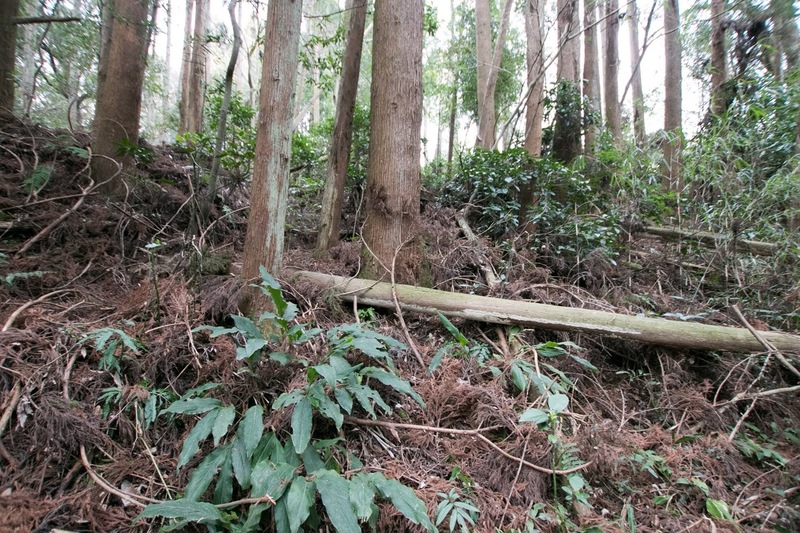 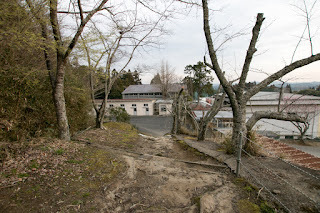 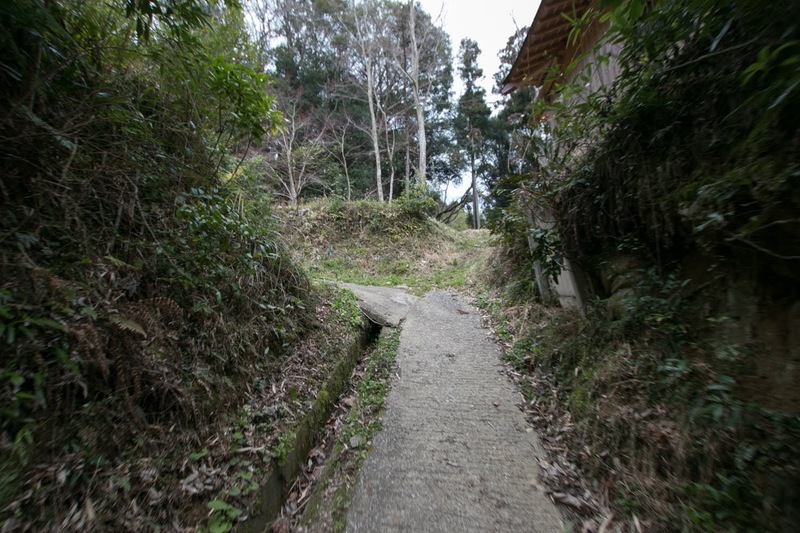 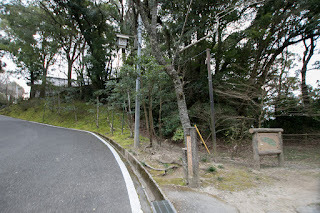 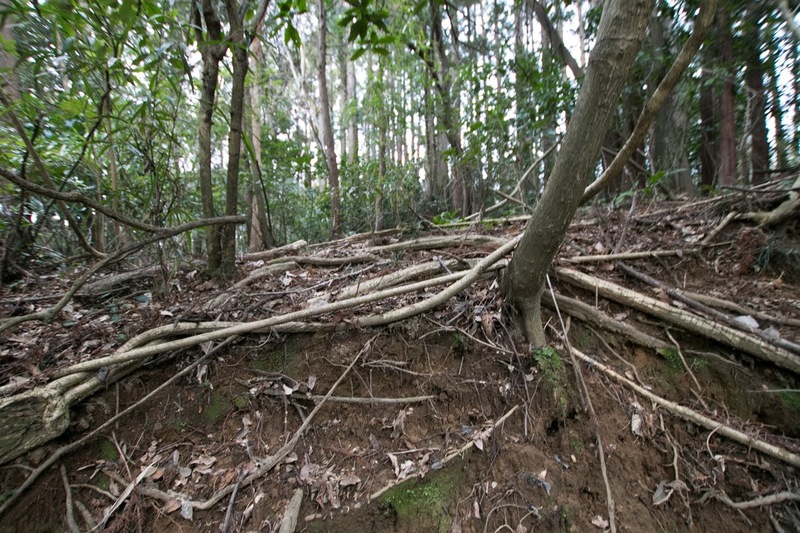 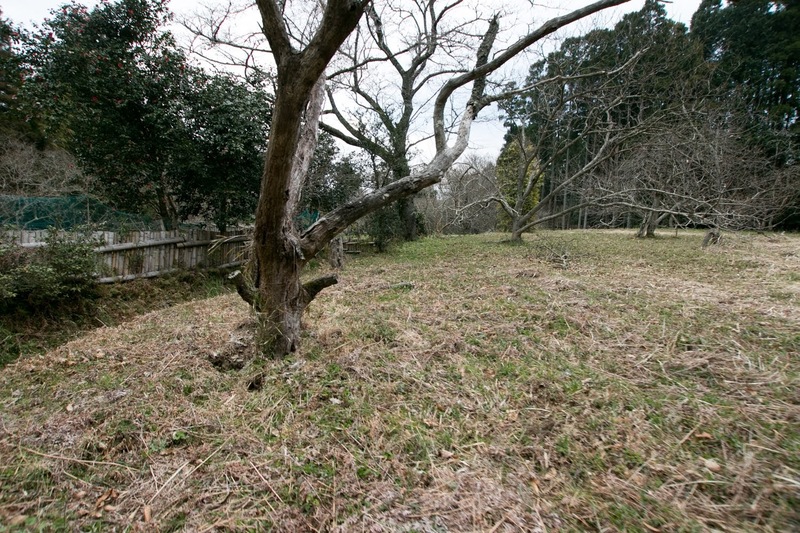 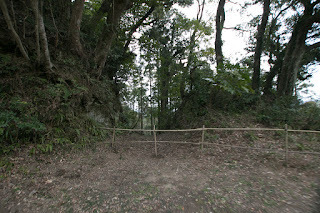 Subsequent to Meiji revolution, deep moats guarded the castle were reclaimed and most buildings were broken, but one gate still remains at the place of high school built at former secondary area. 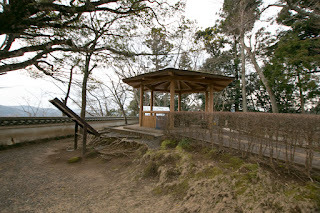 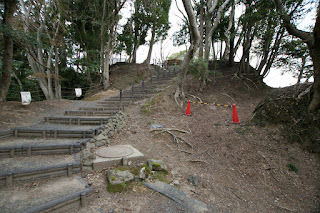 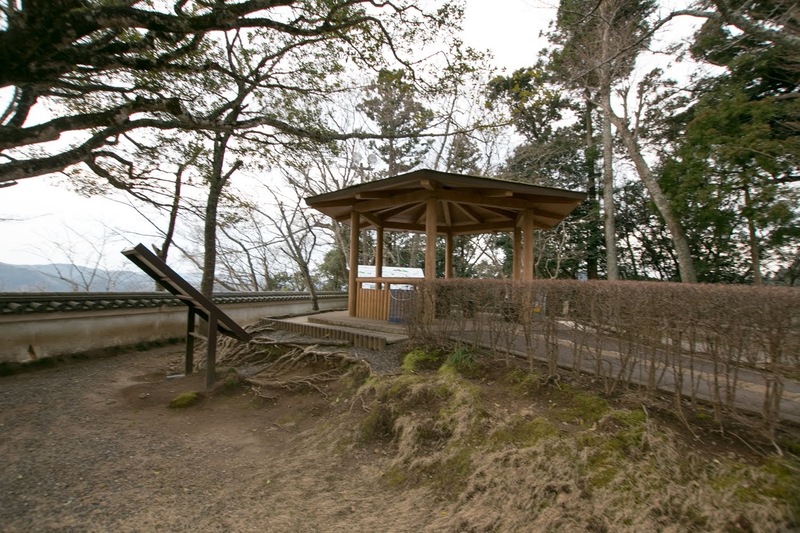 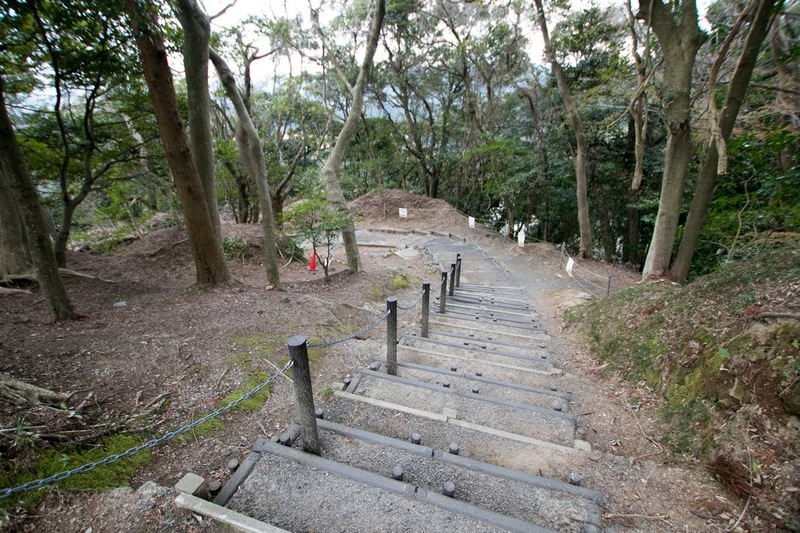 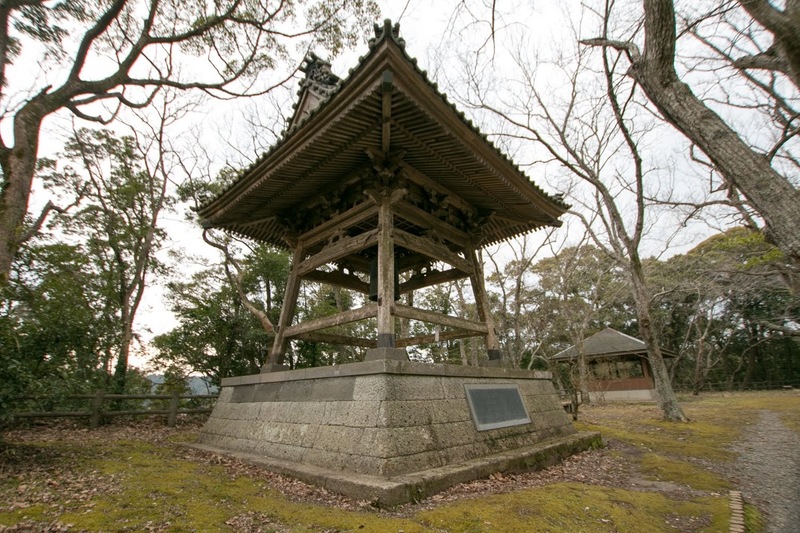 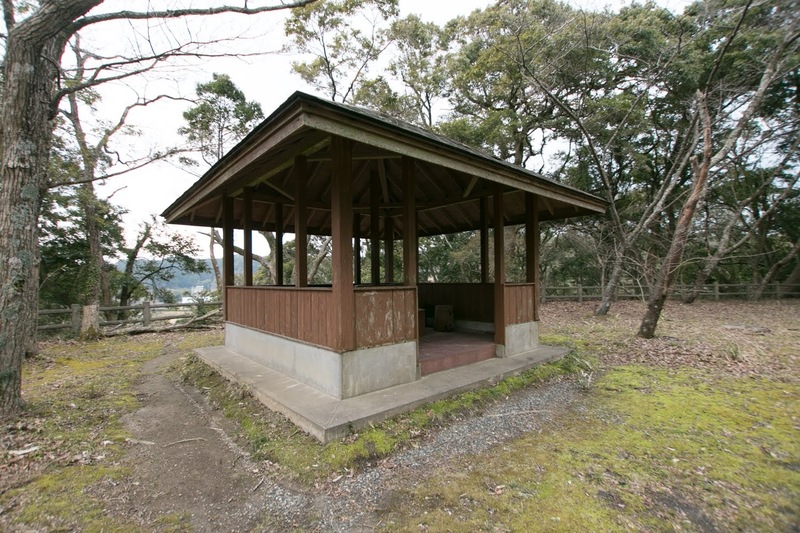 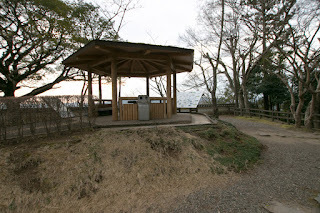 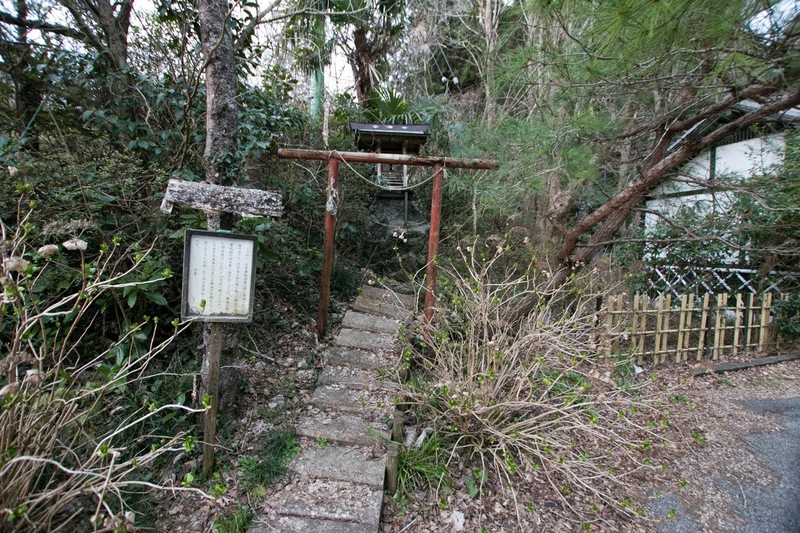 An imitation of main tower was built at the top of hill, and used as a historical museum of this area. 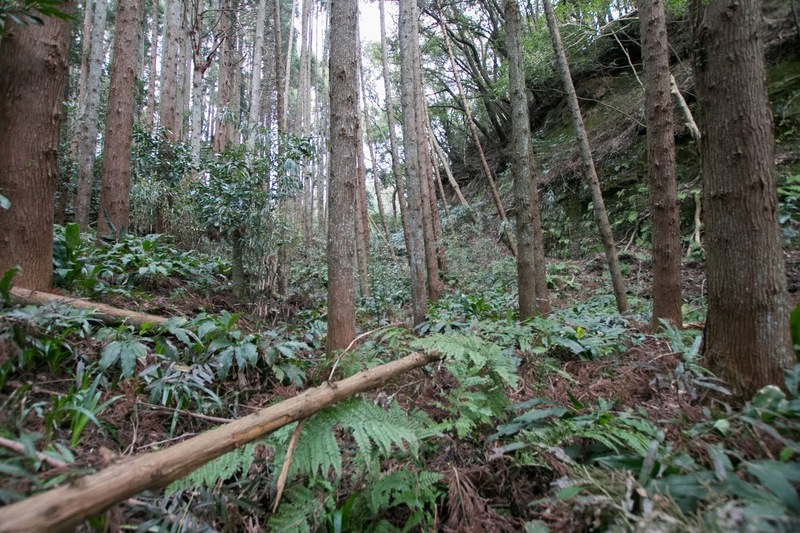 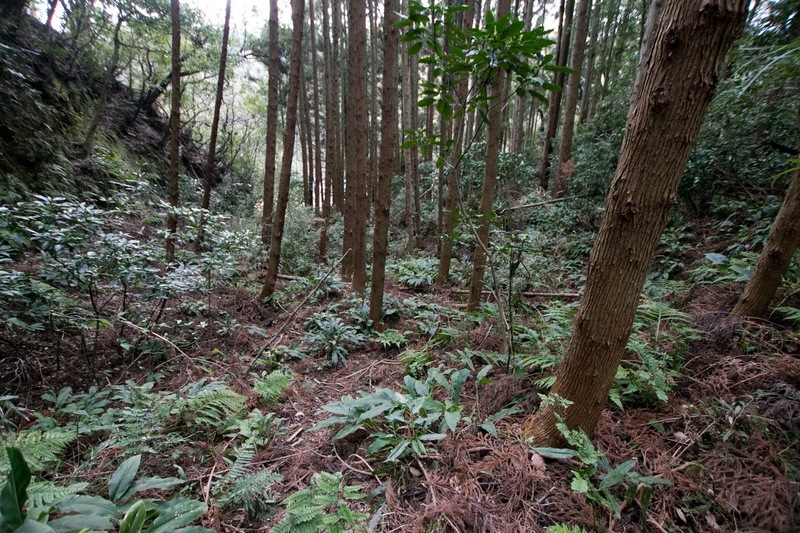 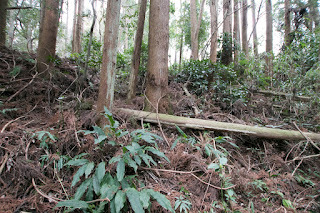 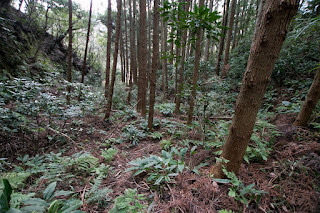 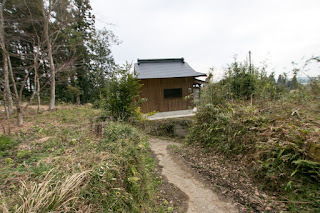 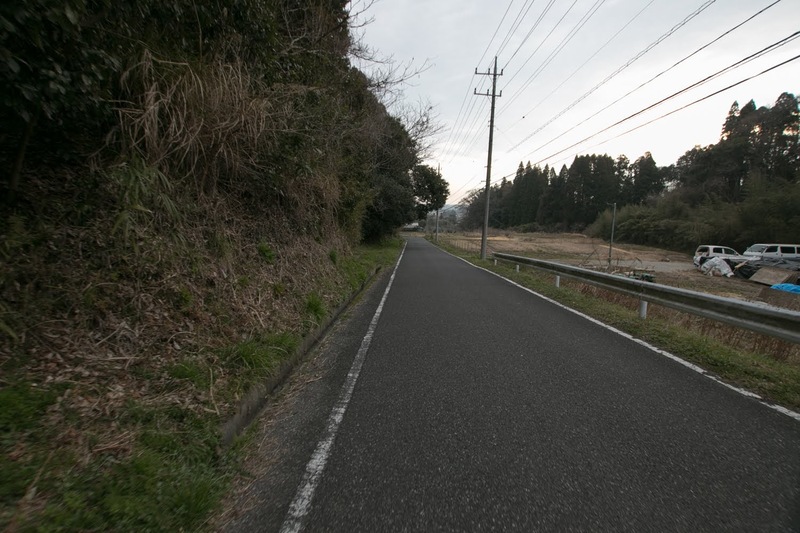 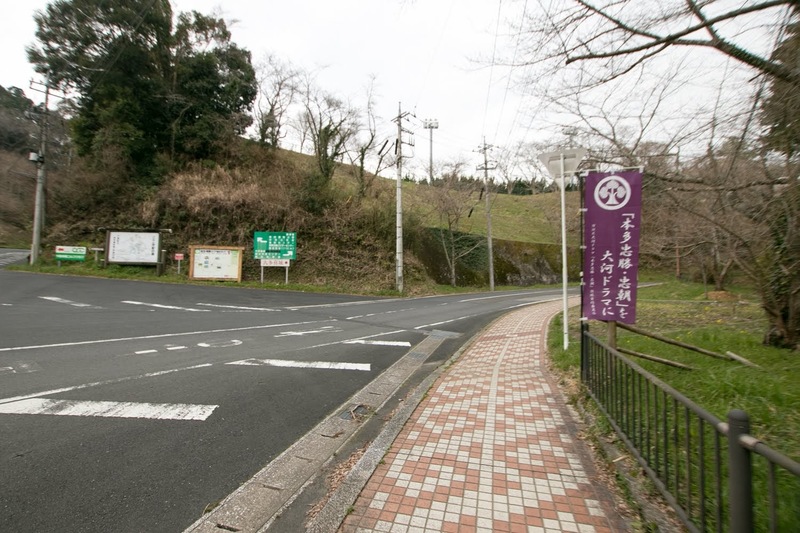 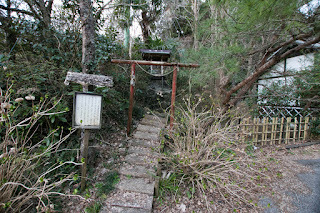 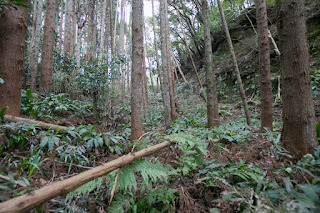 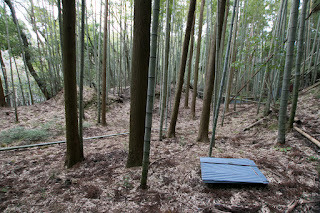 20 minutes walk from Izumi-Tetsudo Isumi line Otaki station. 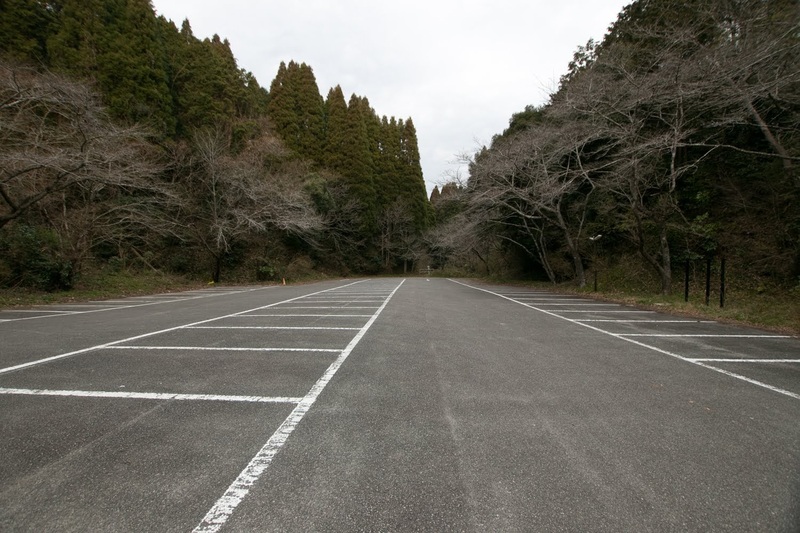 20 minutes drive from Kenodo Expressway Ichihara-Tsurumai interchange to parking.